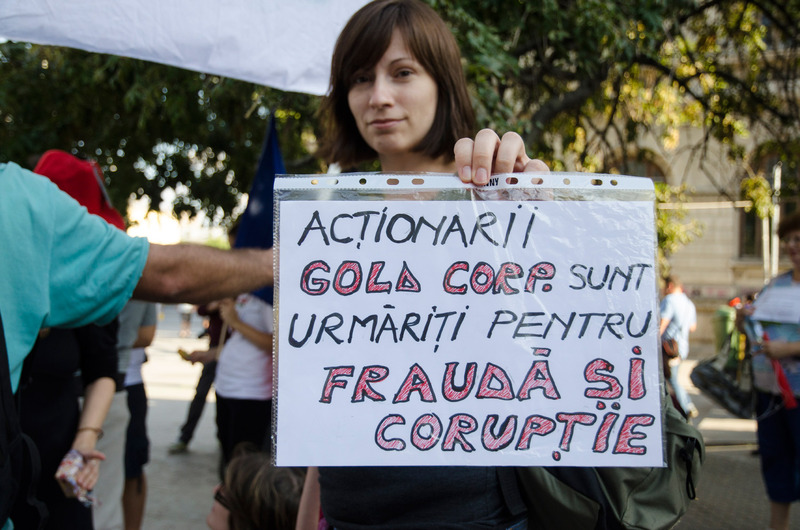 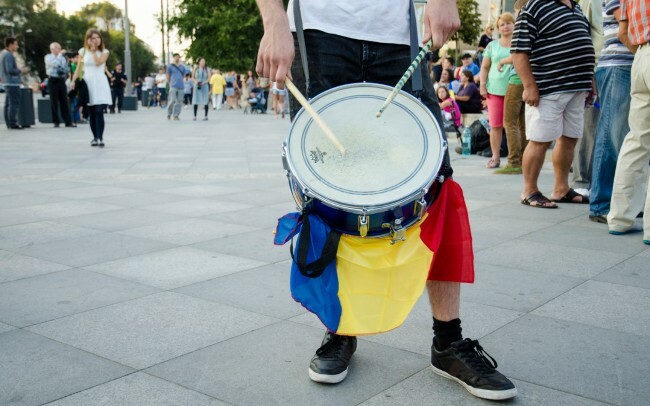 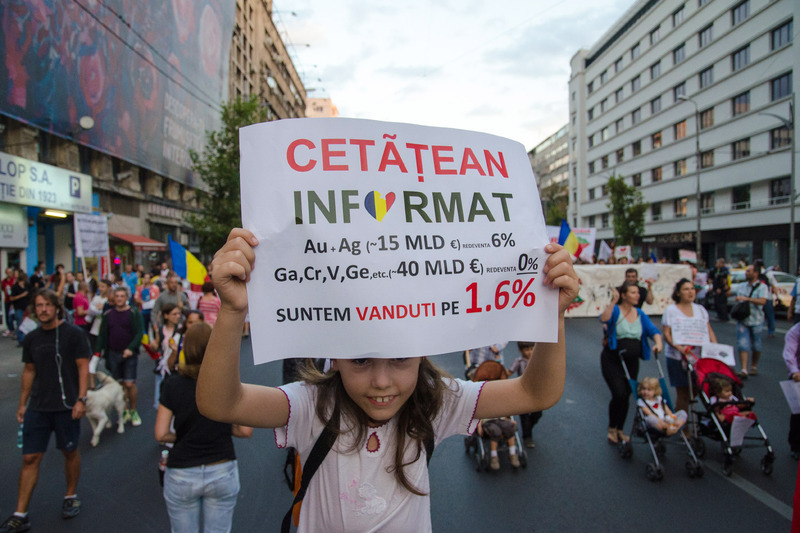 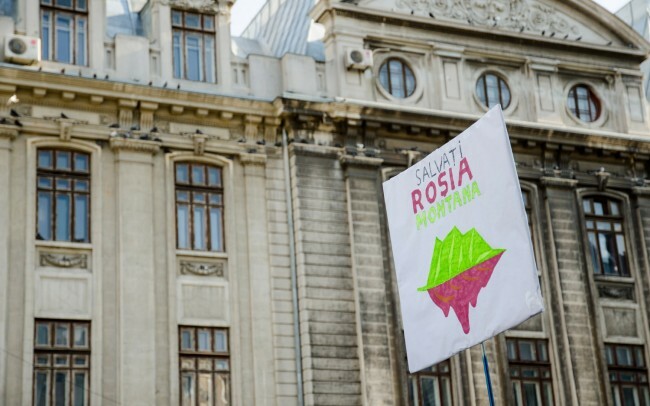 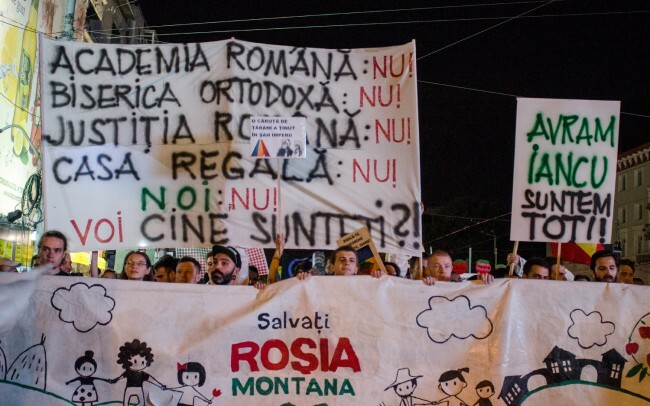 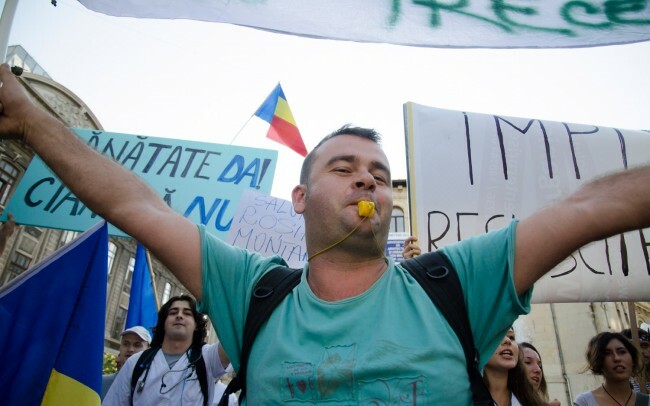 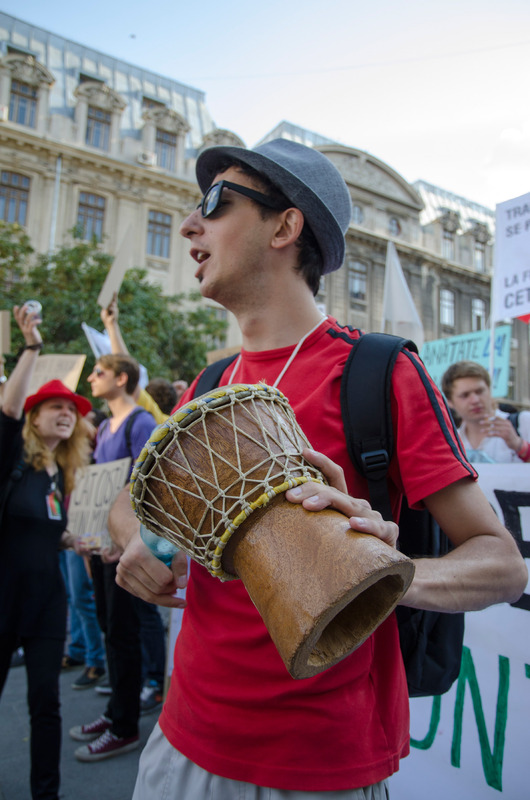 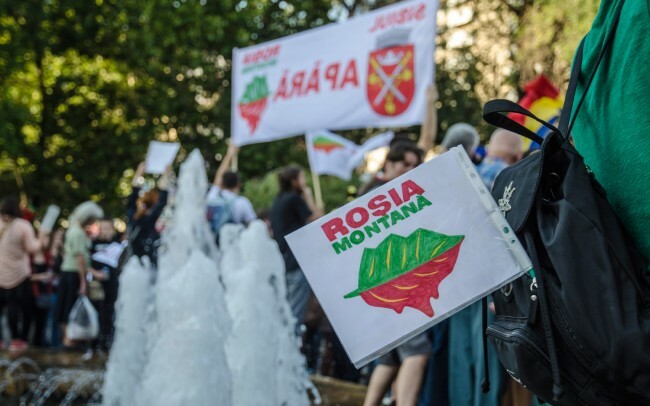 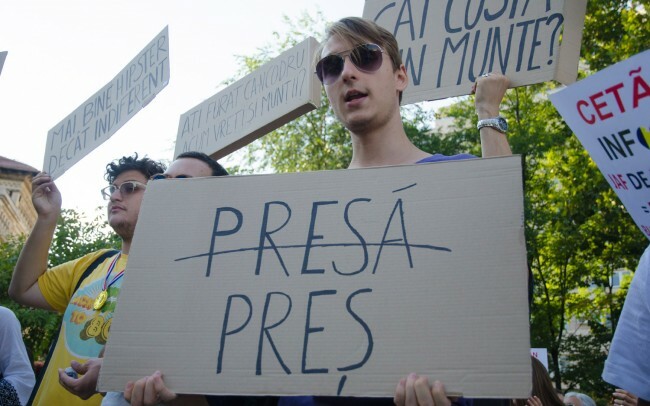 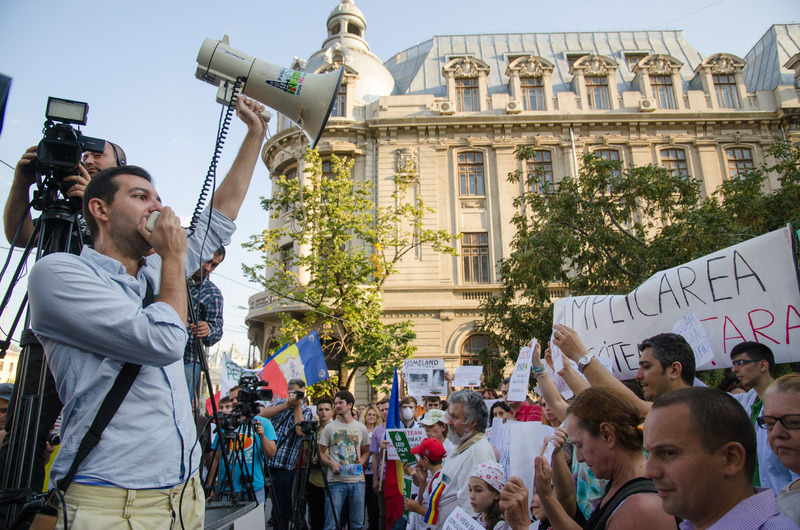 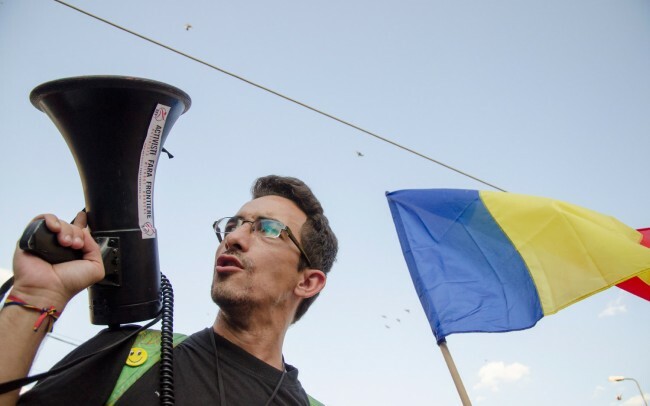 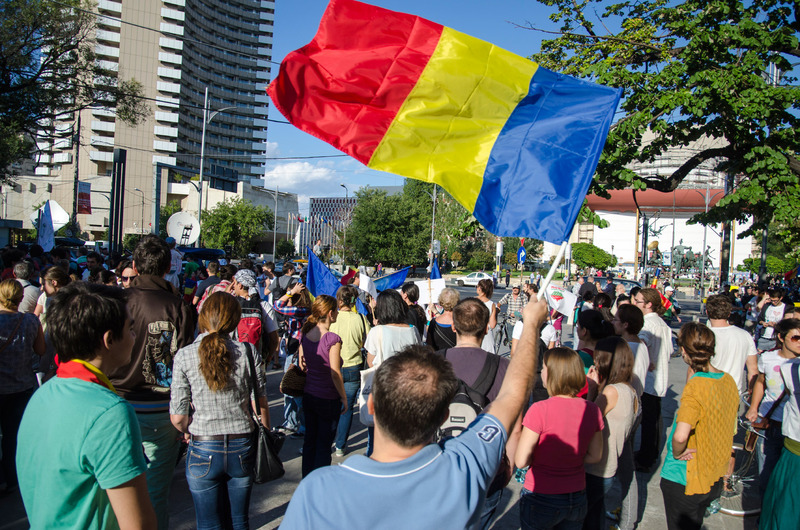 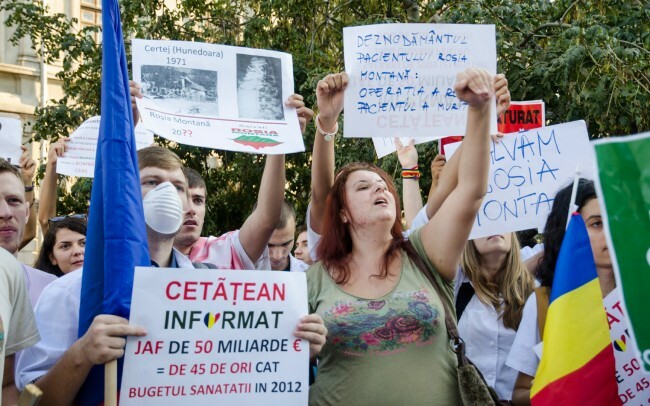 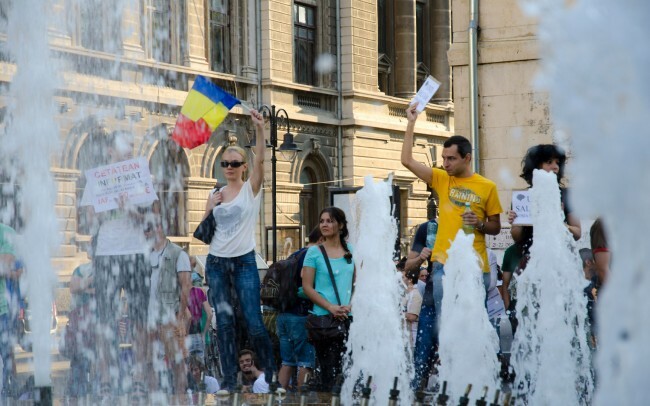 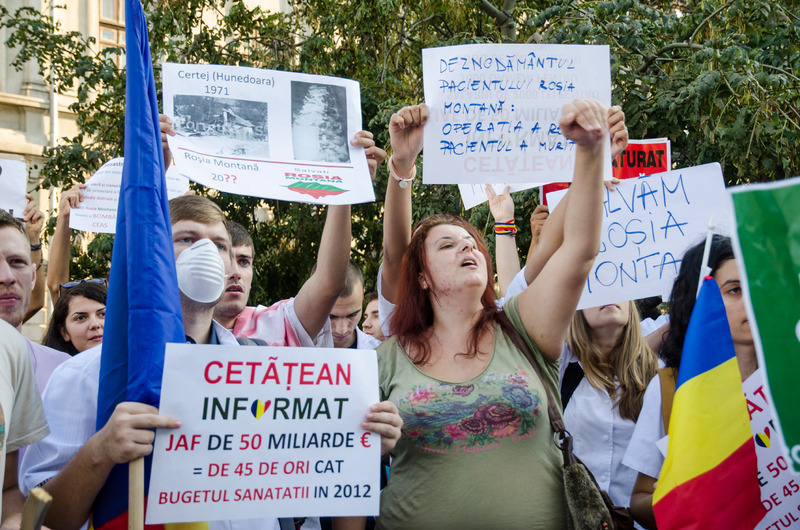 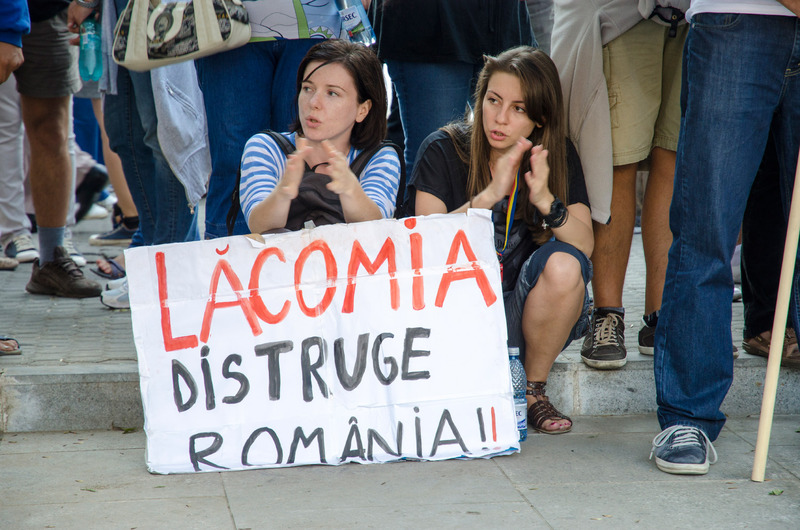 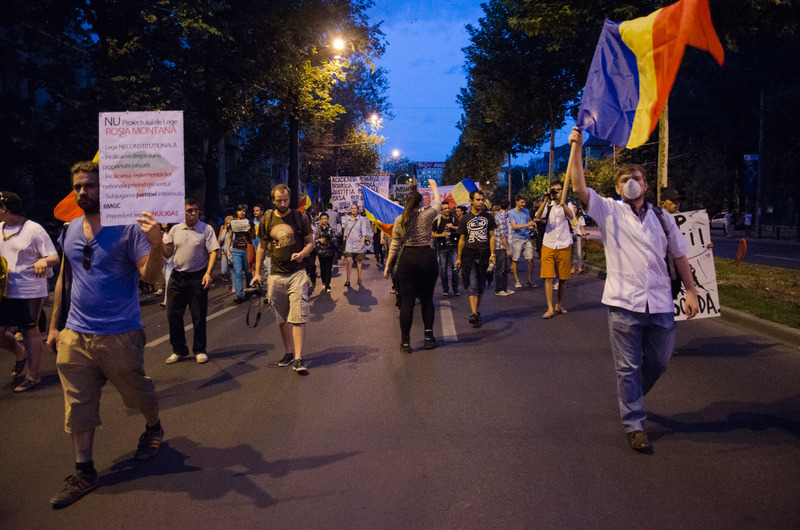 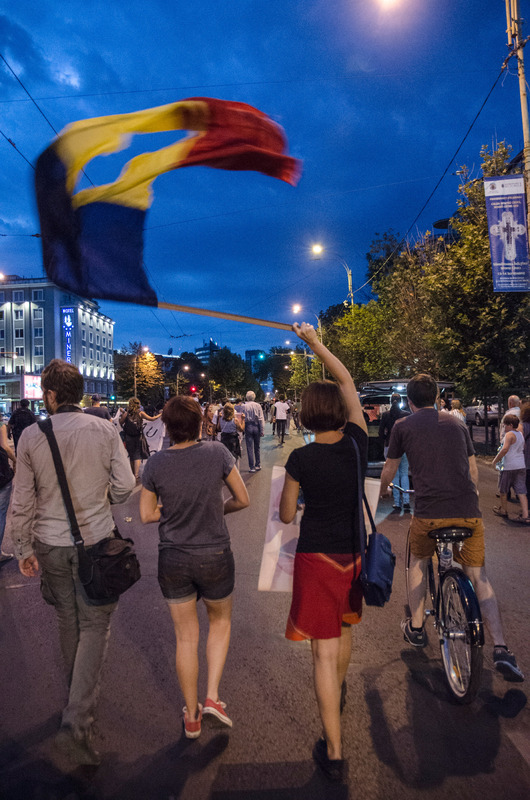 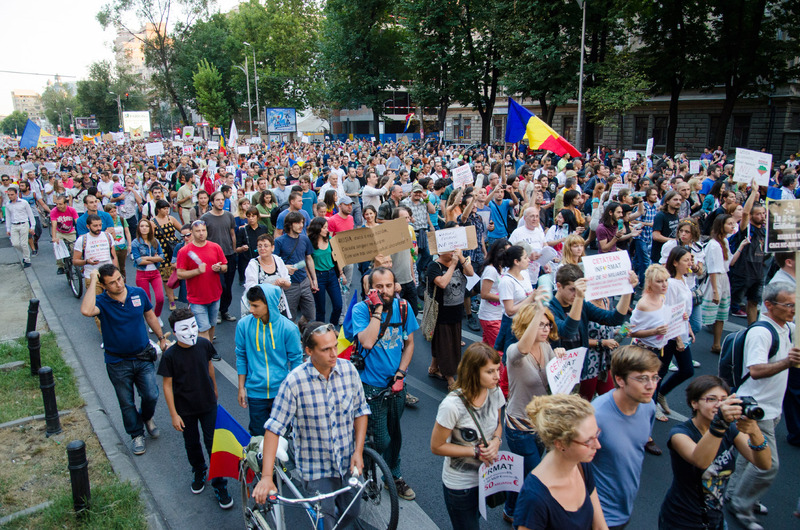 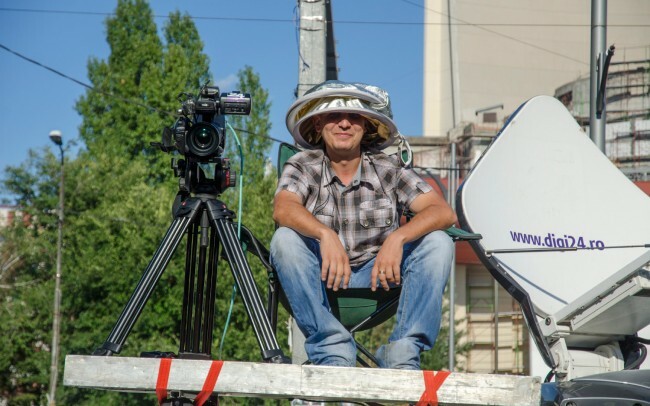 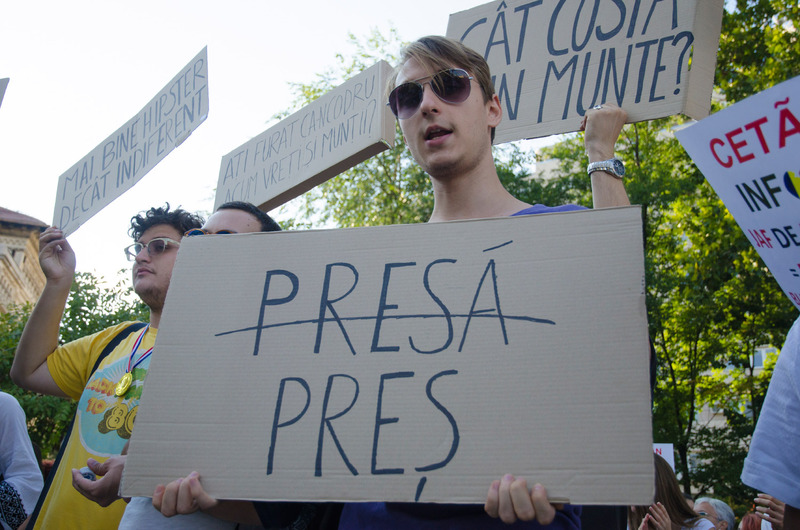 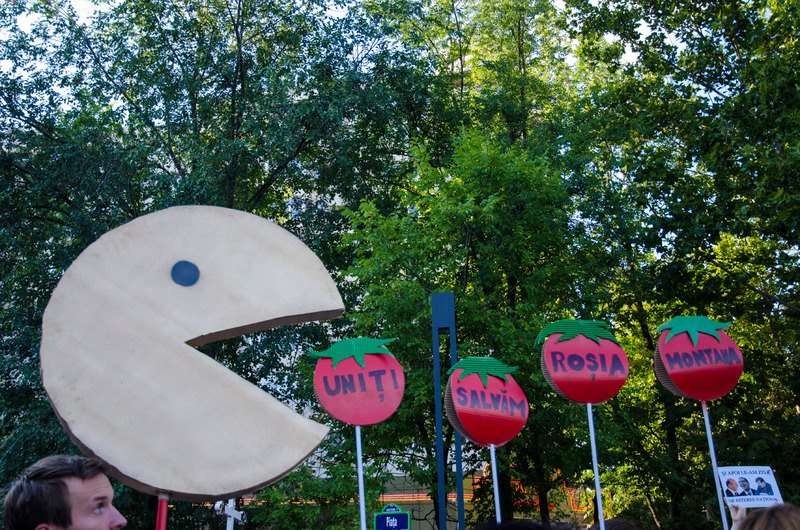 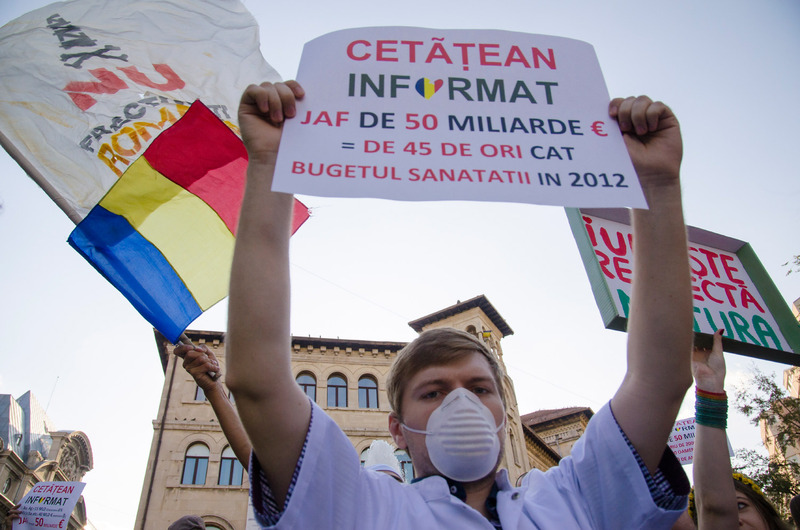 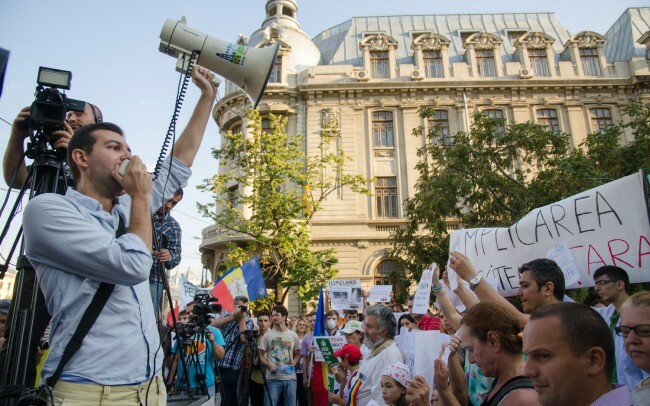 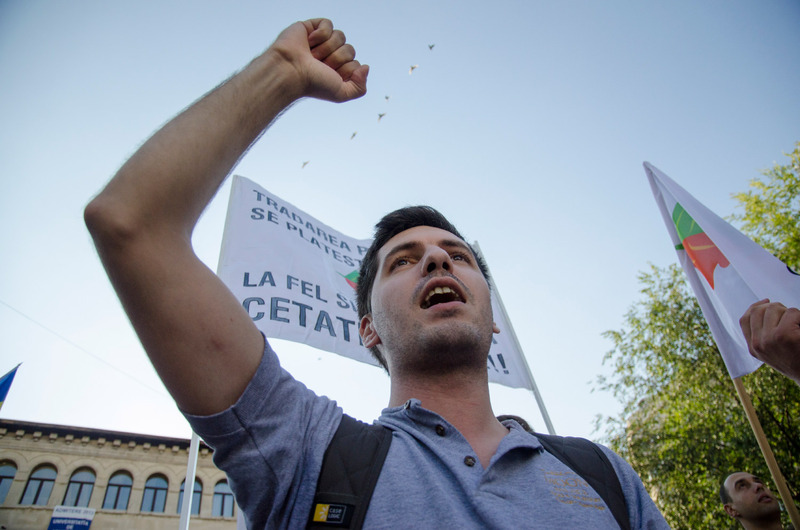 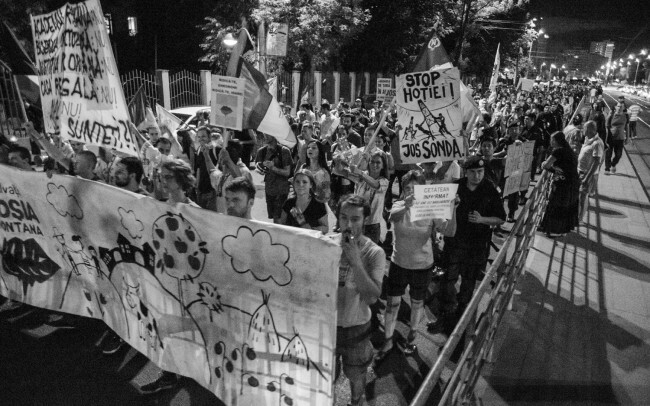 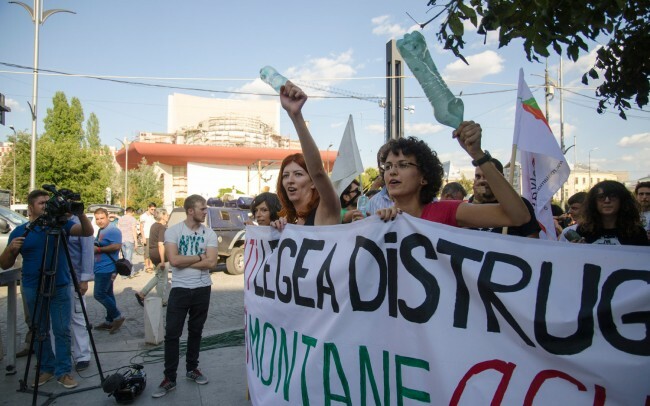 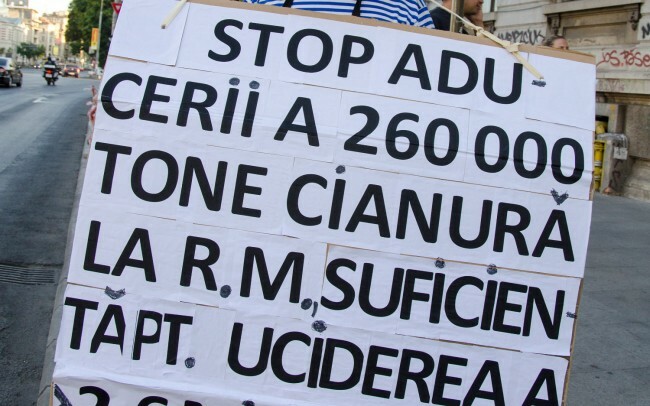 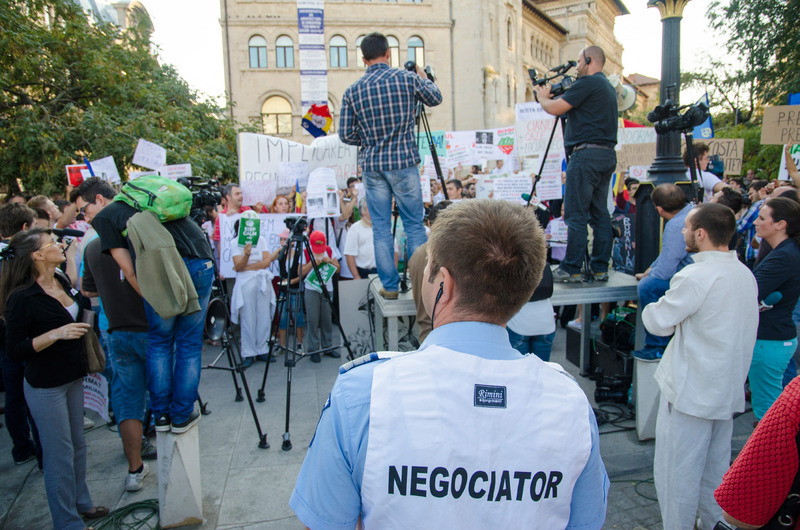 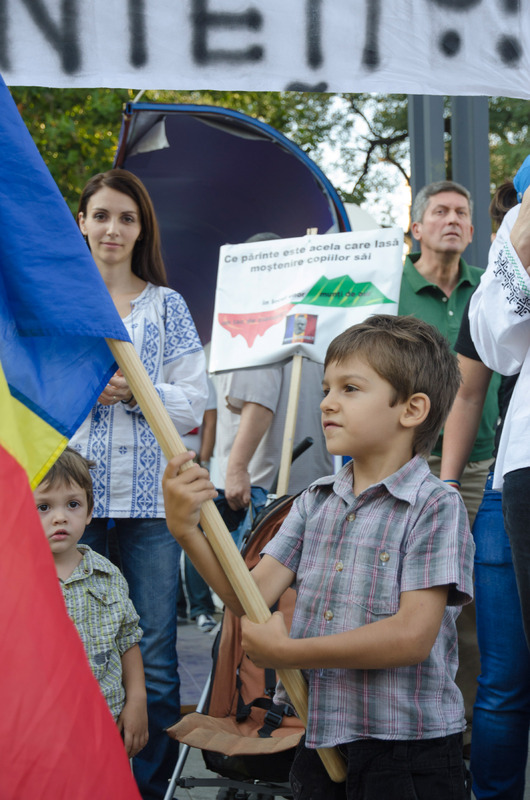 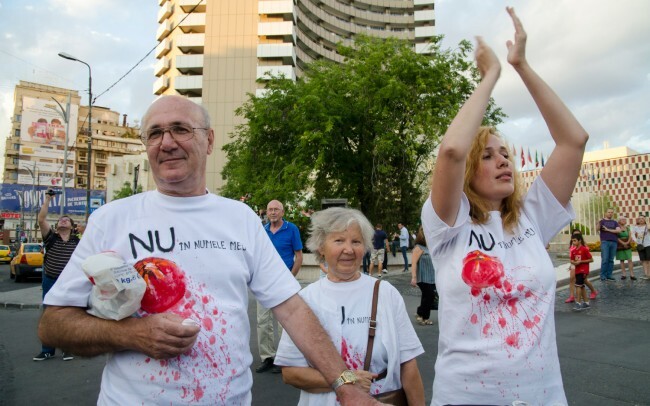 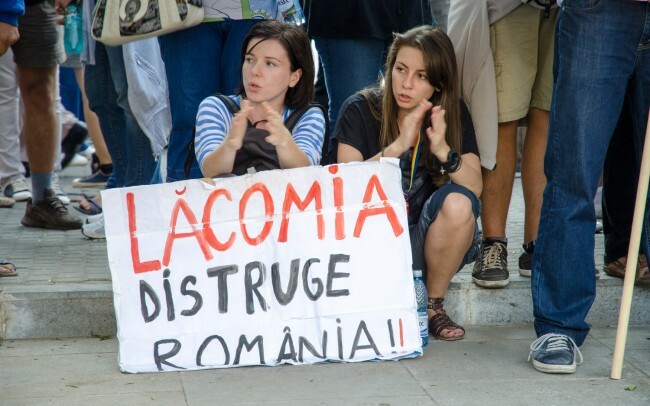 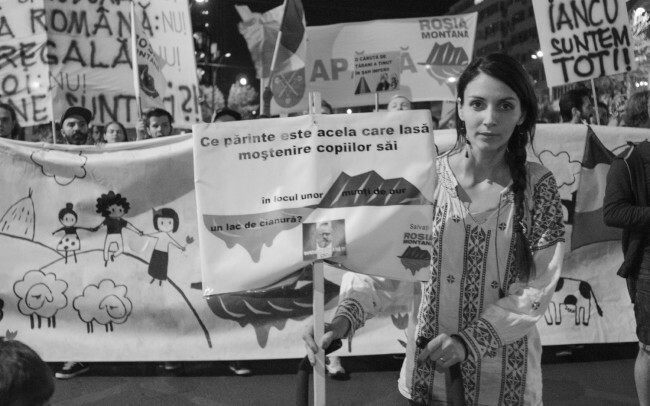 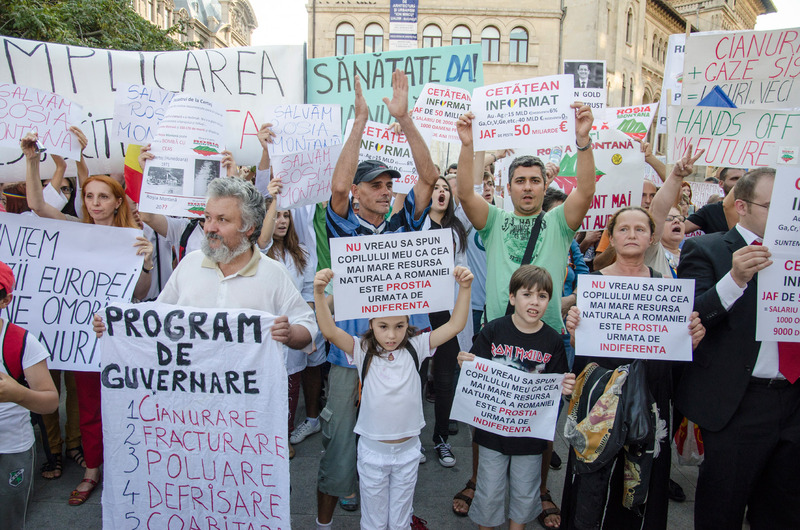 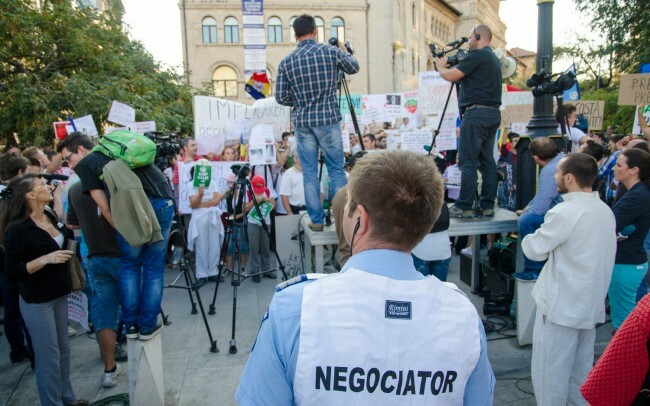 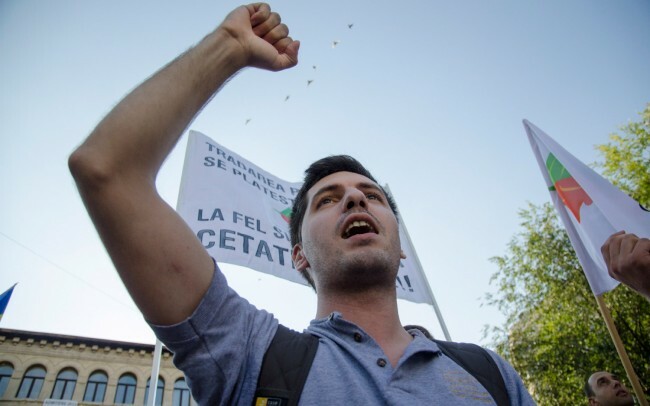 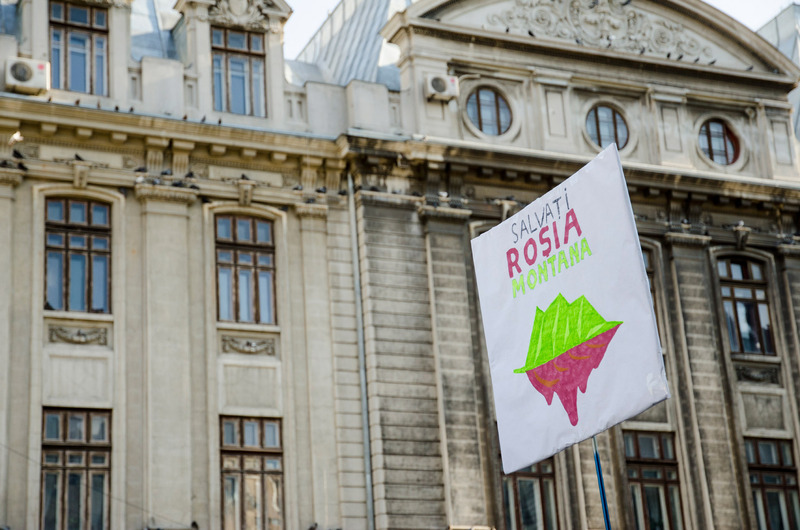 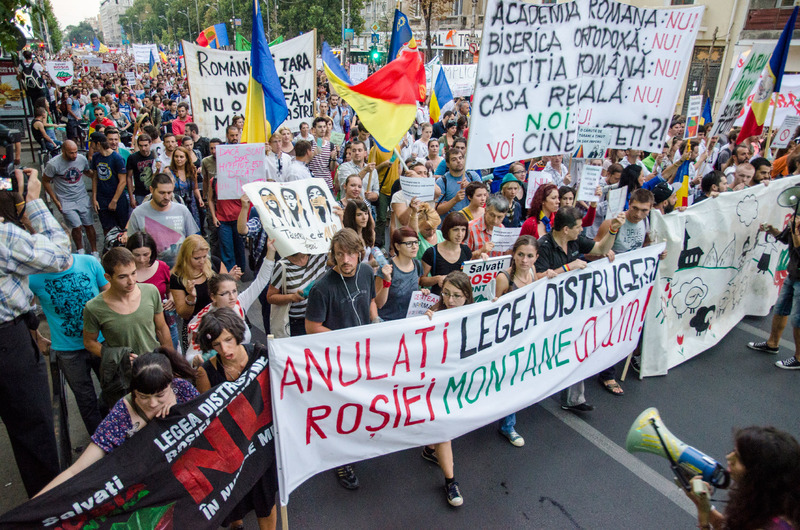 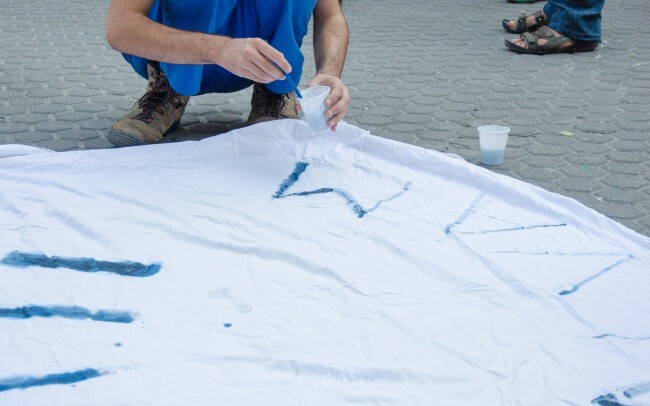 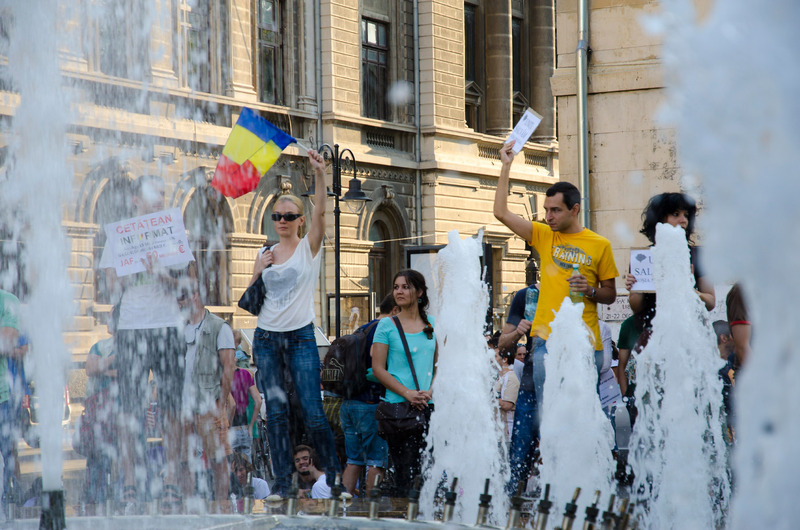 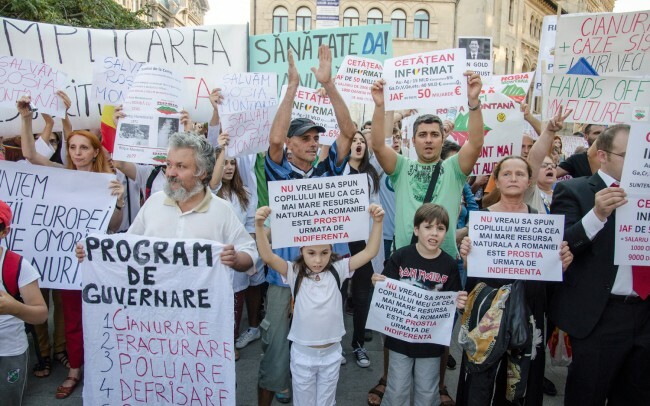 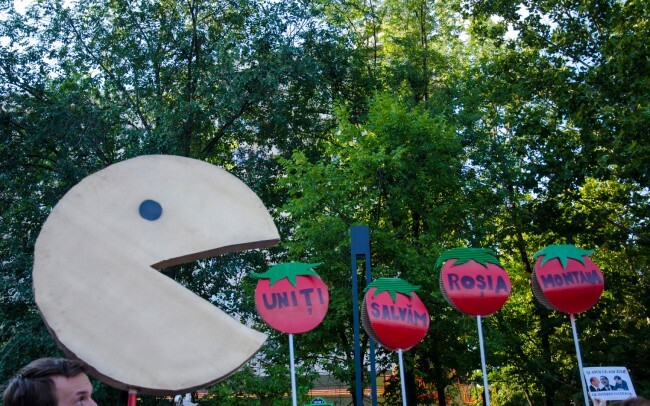 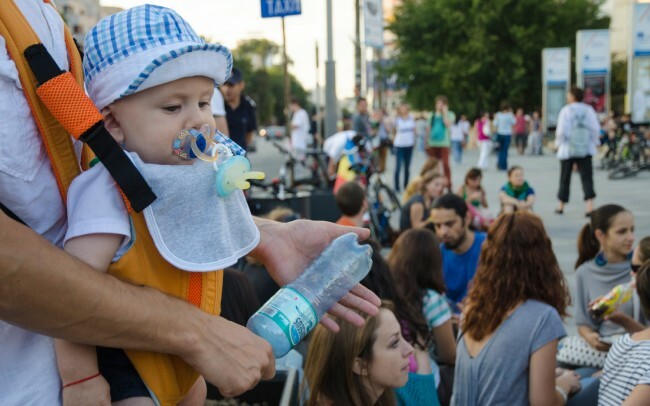 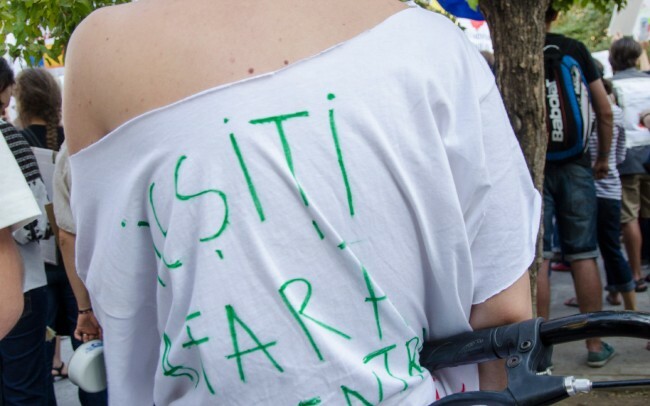 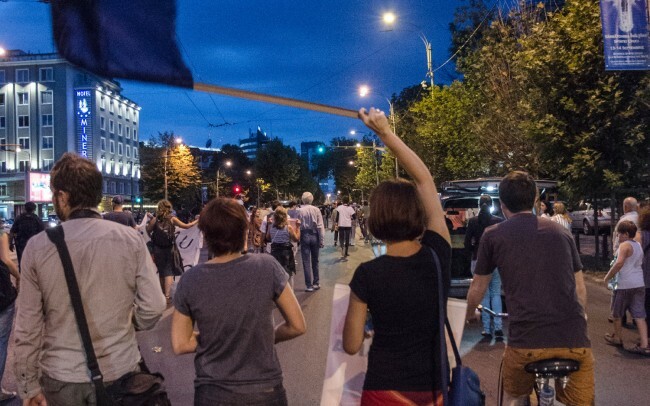 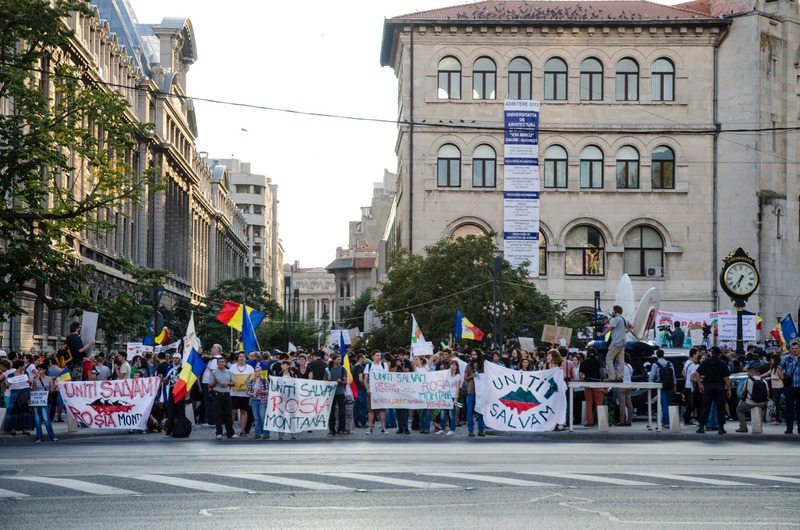 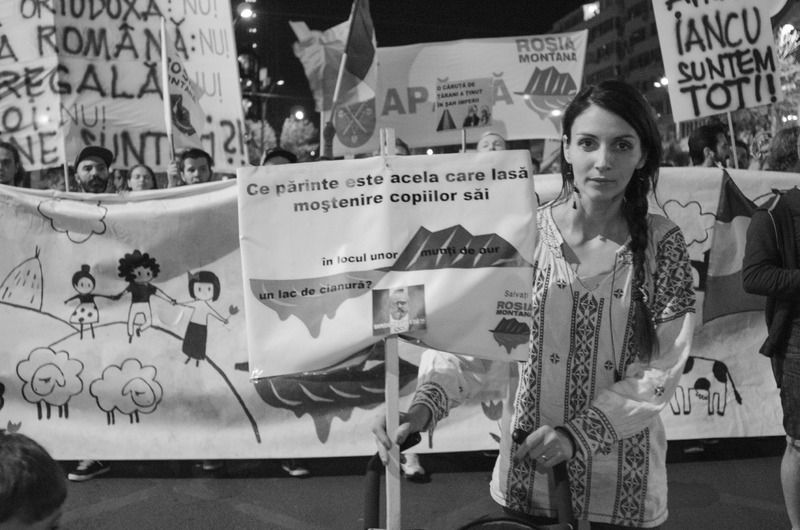 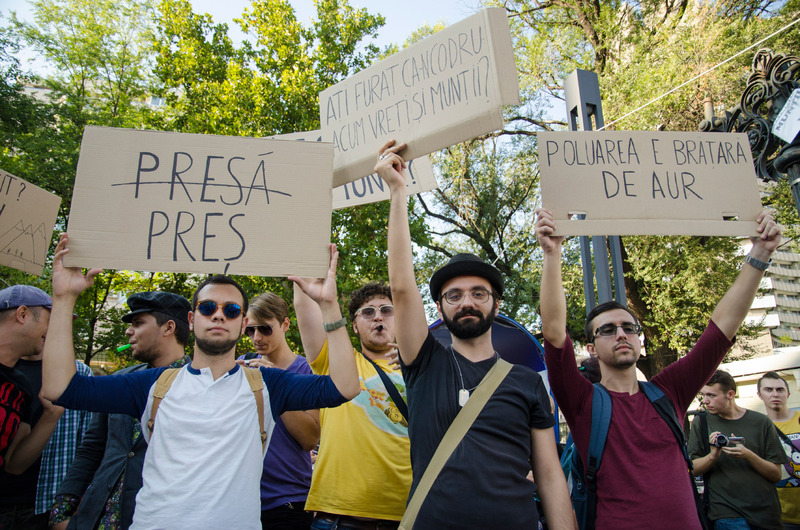 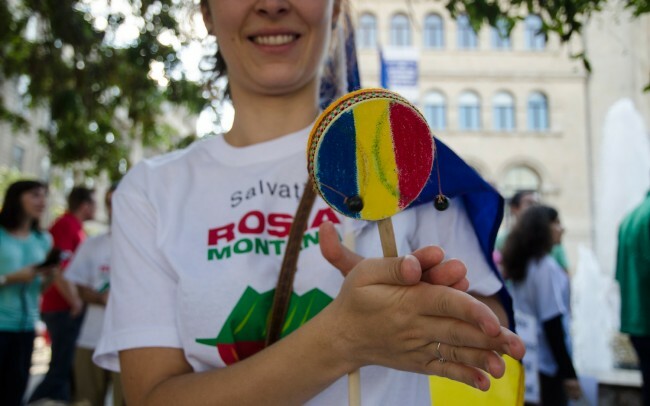 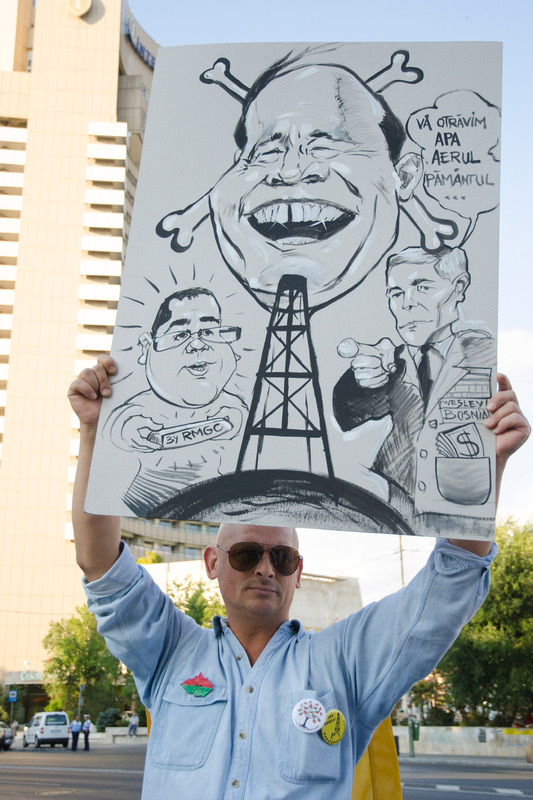 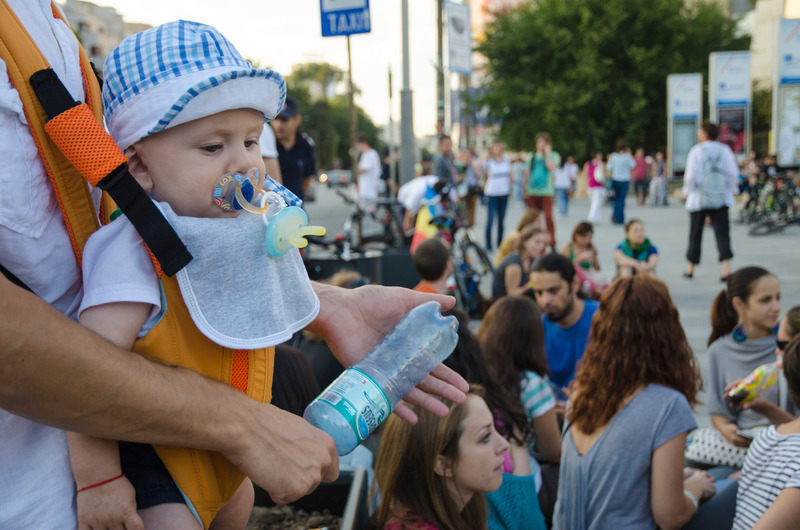 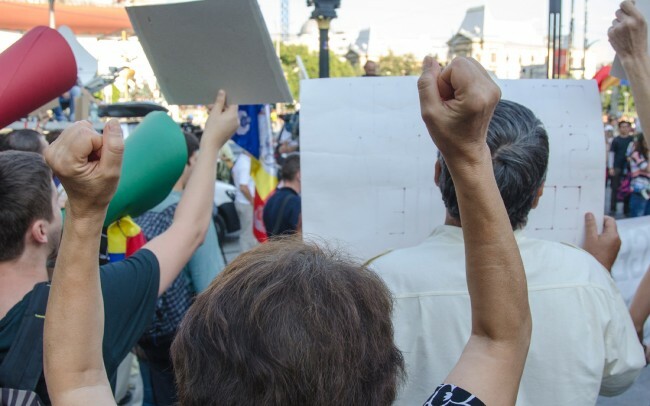 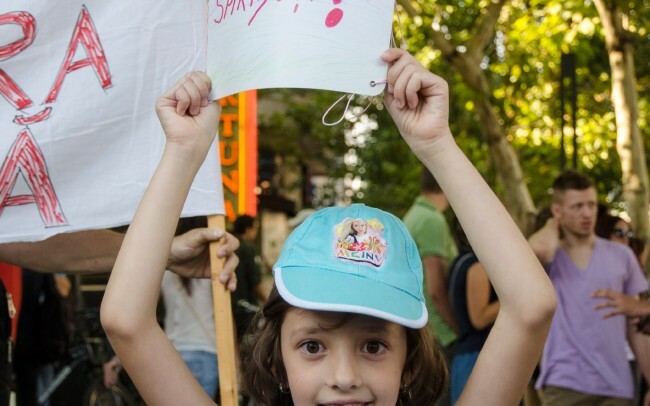 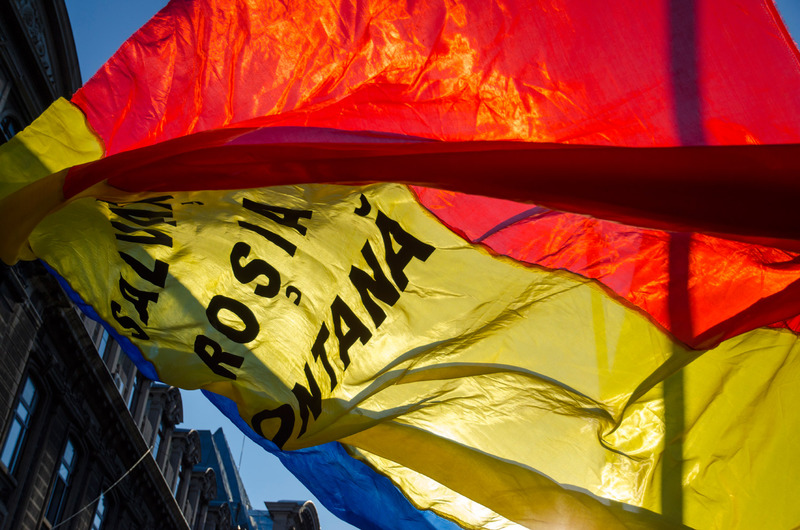 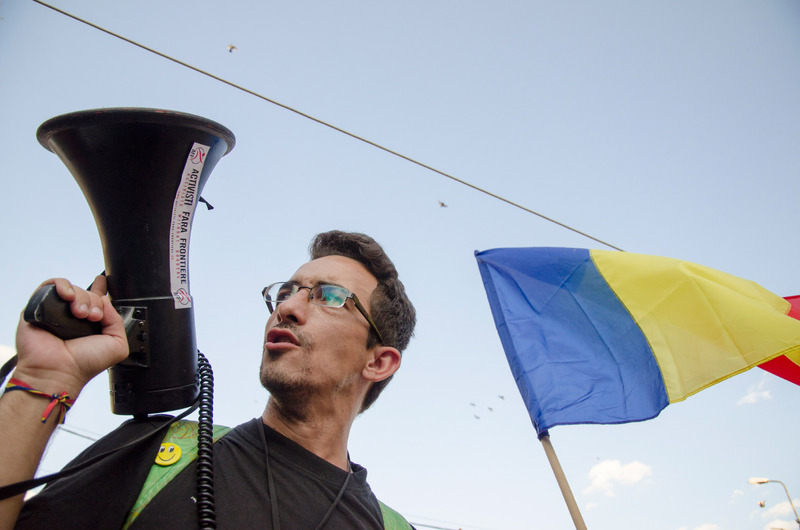 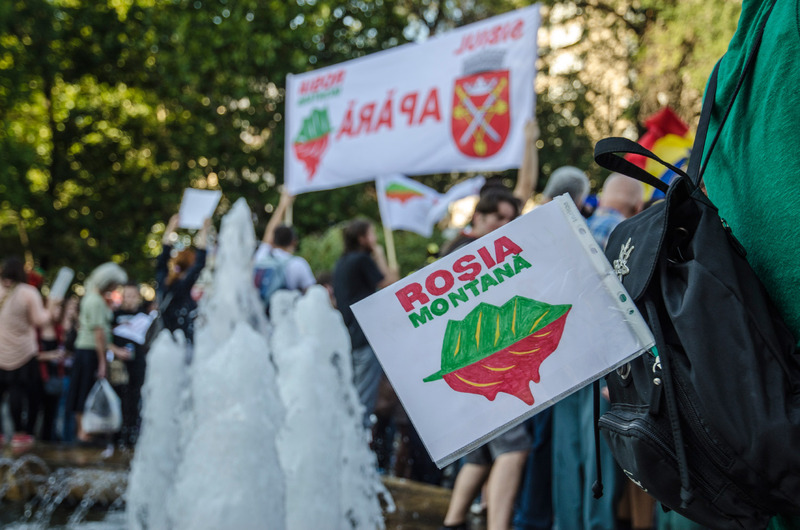 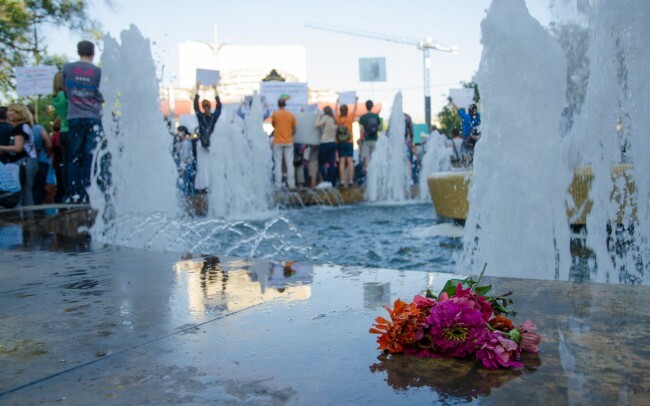 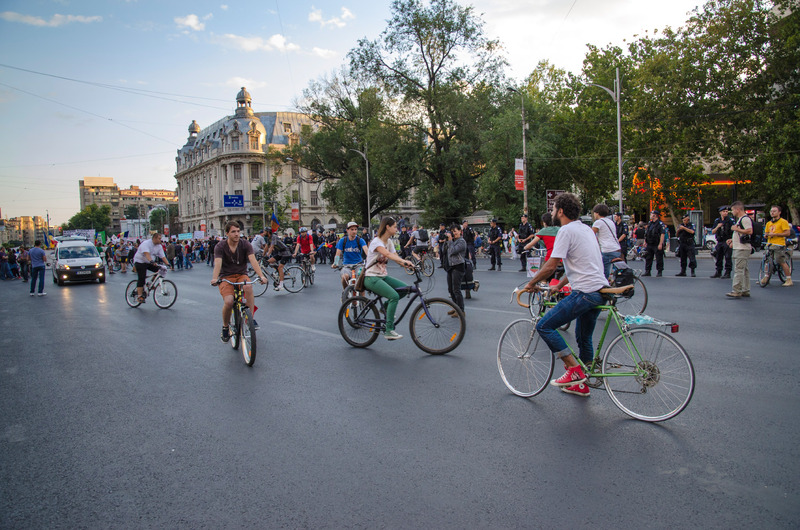 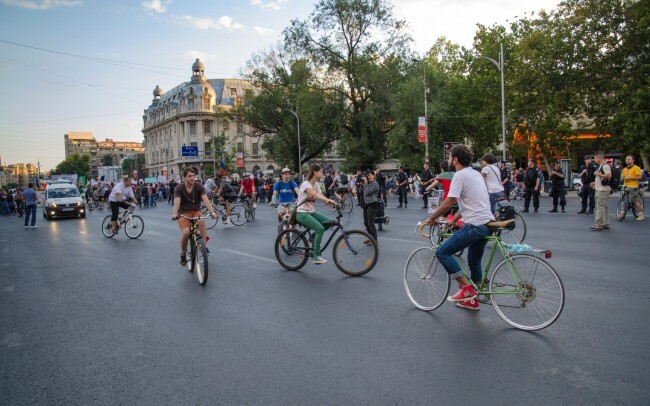 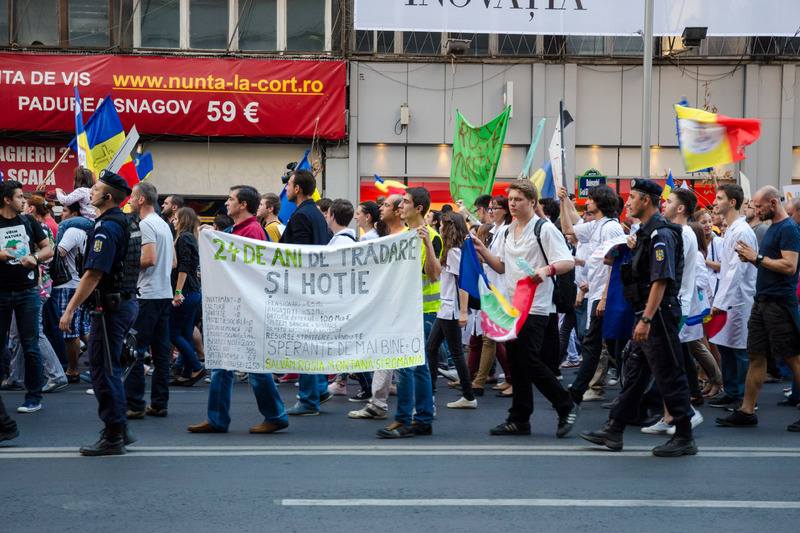 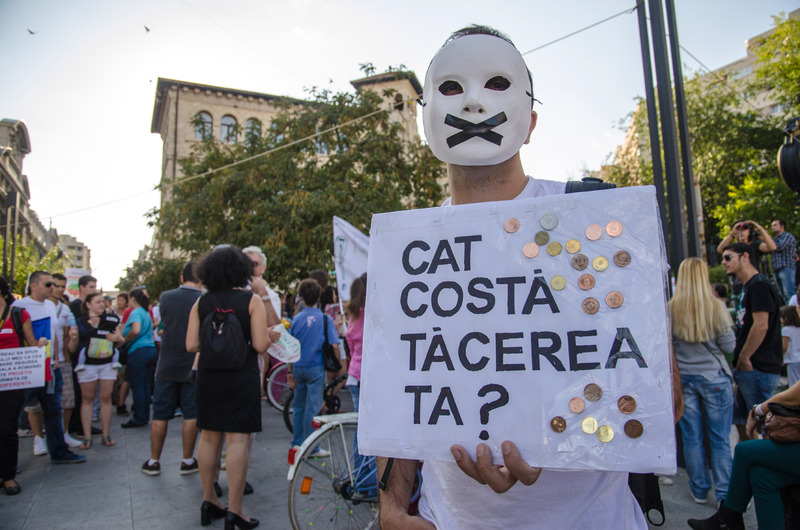 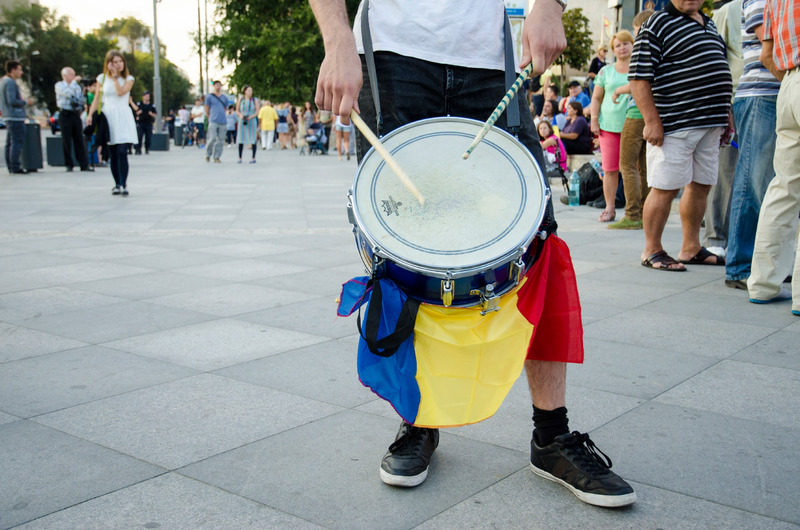 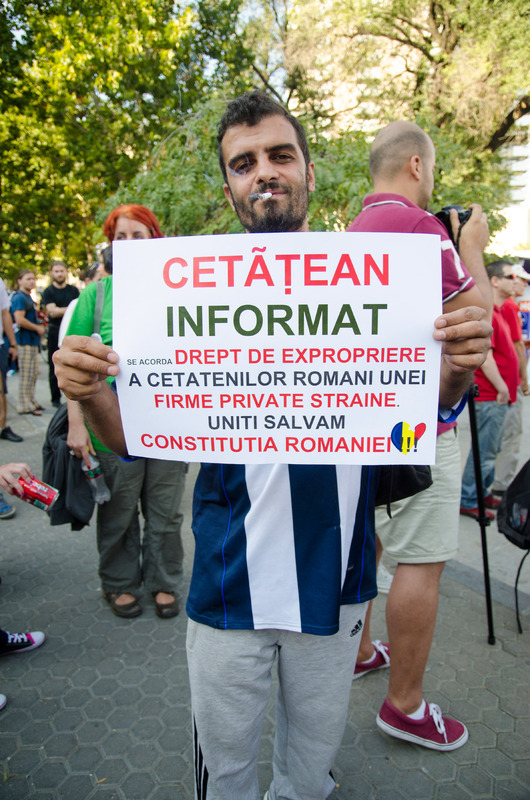 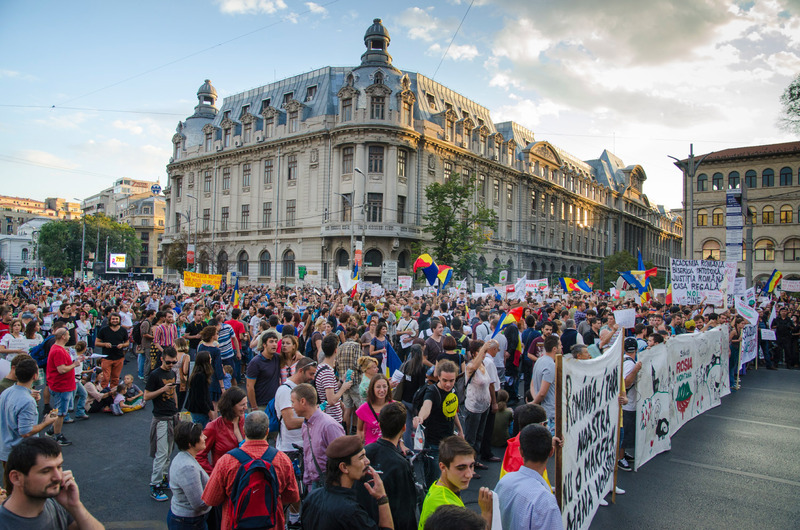 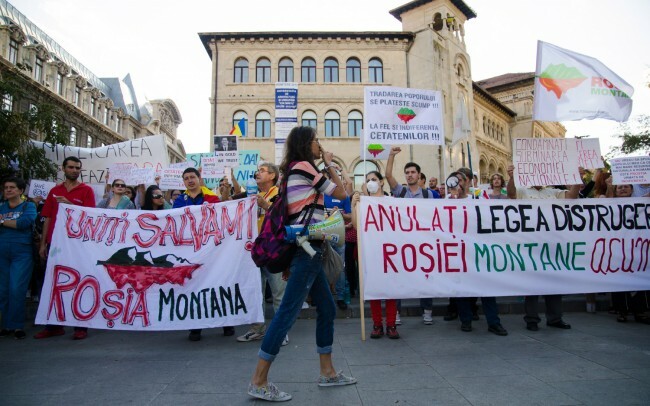 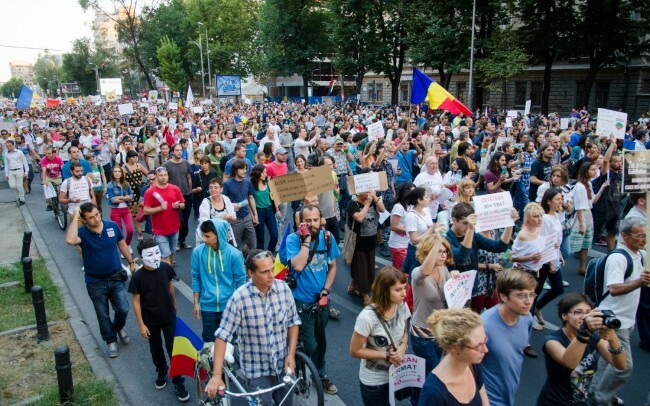 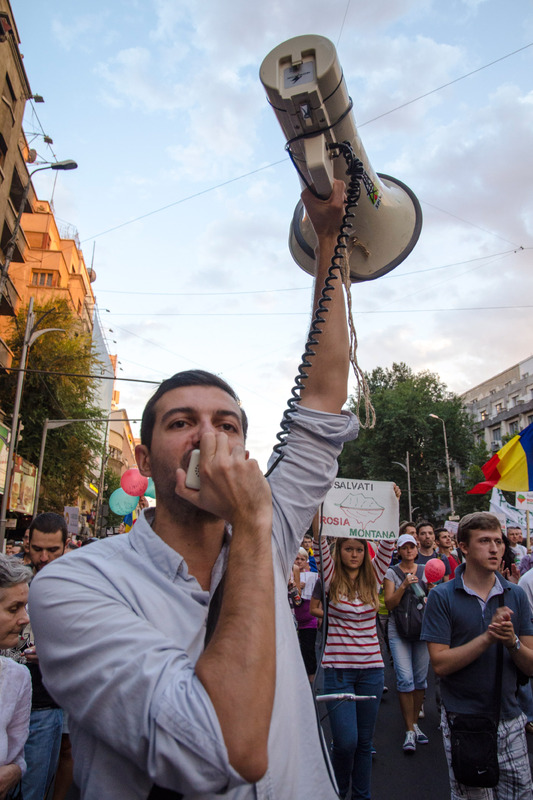 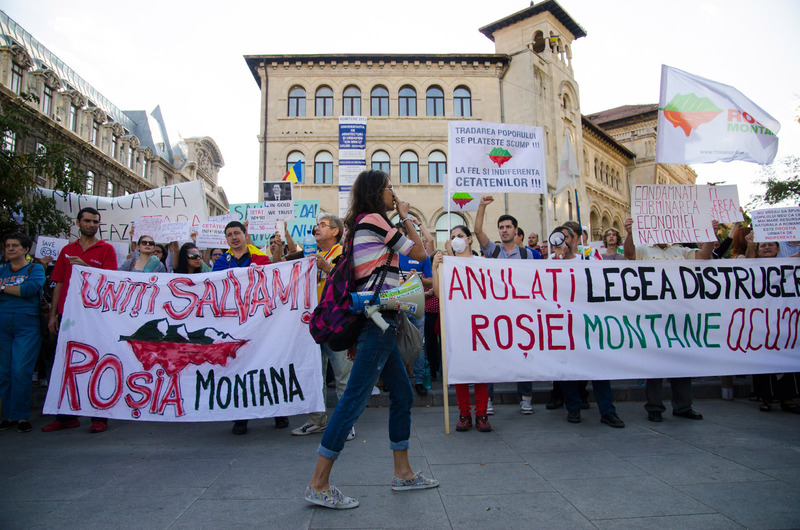 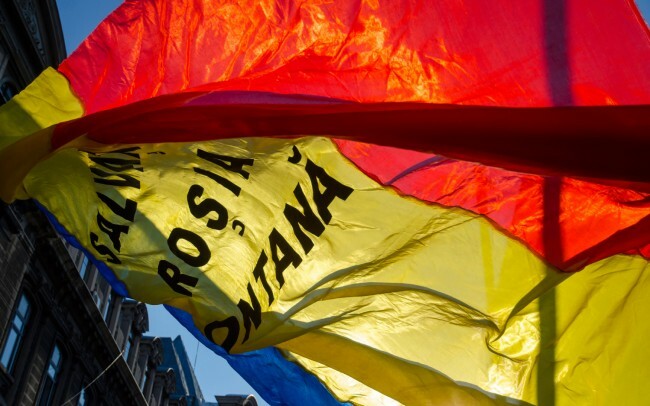 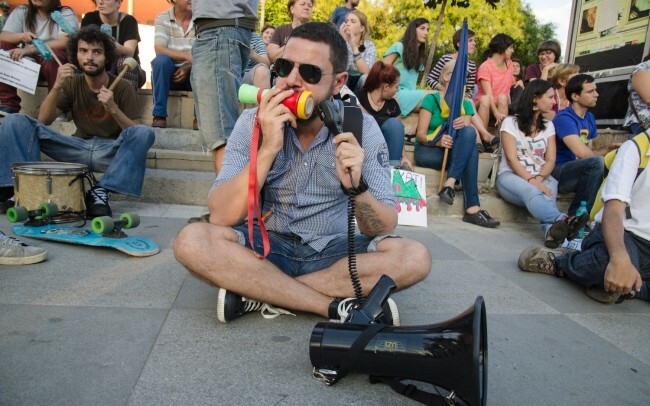 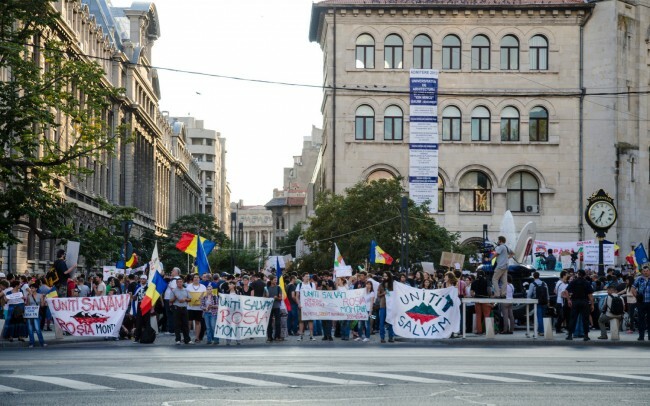 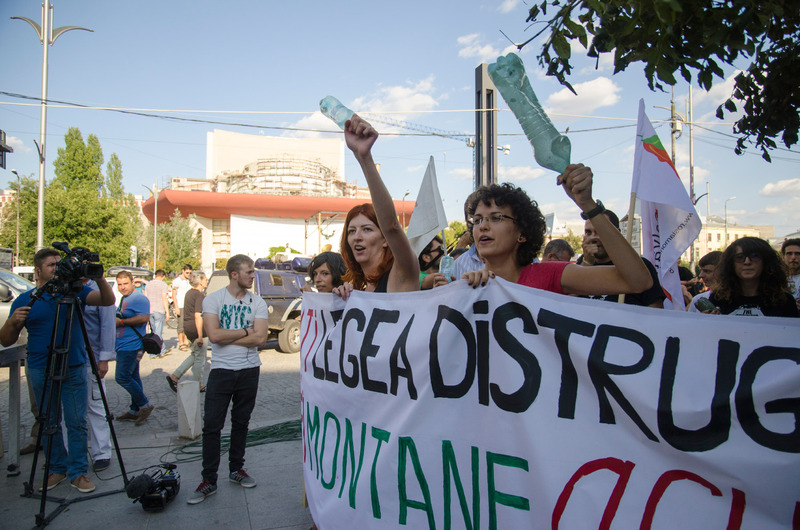 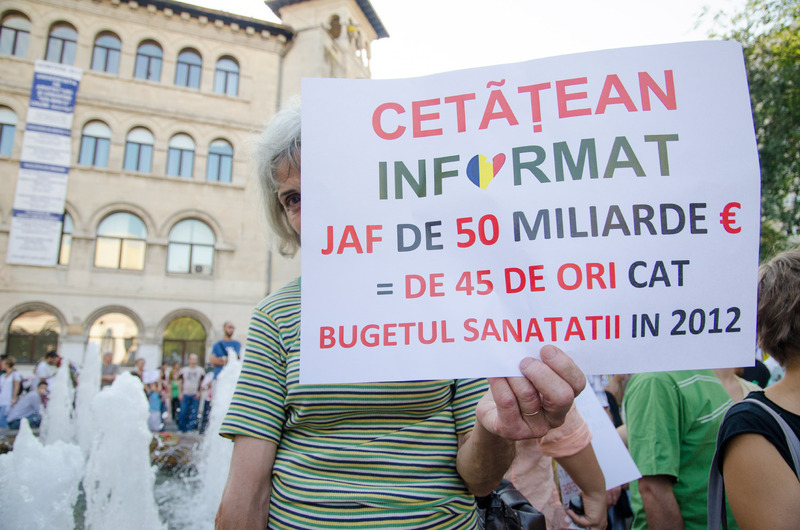 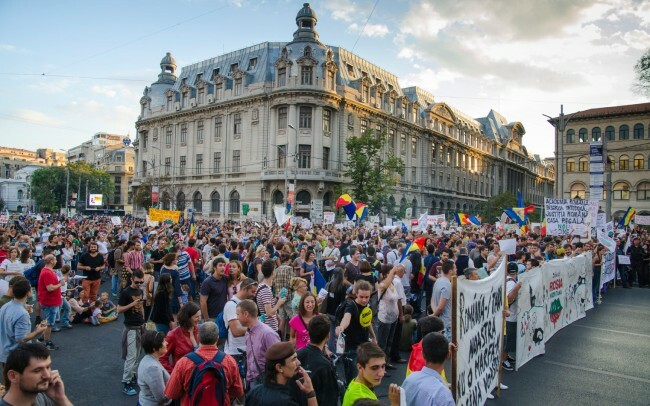 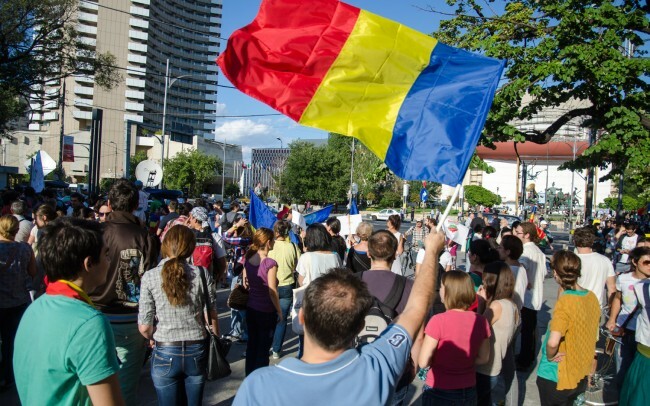 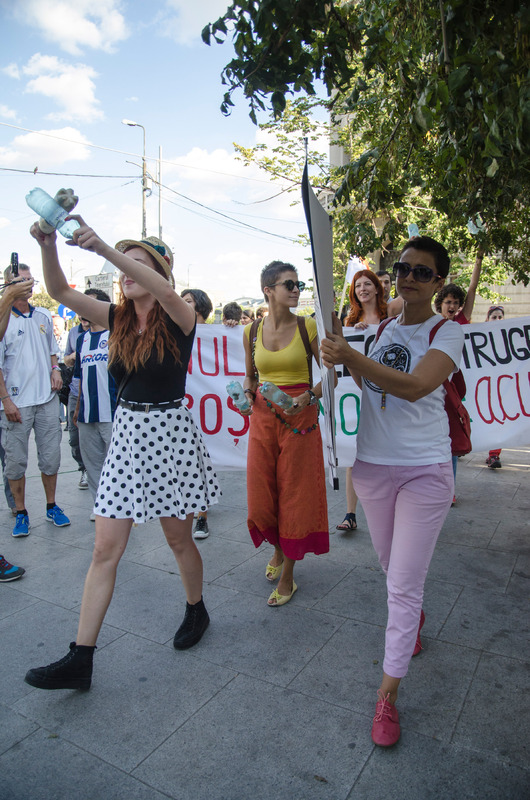 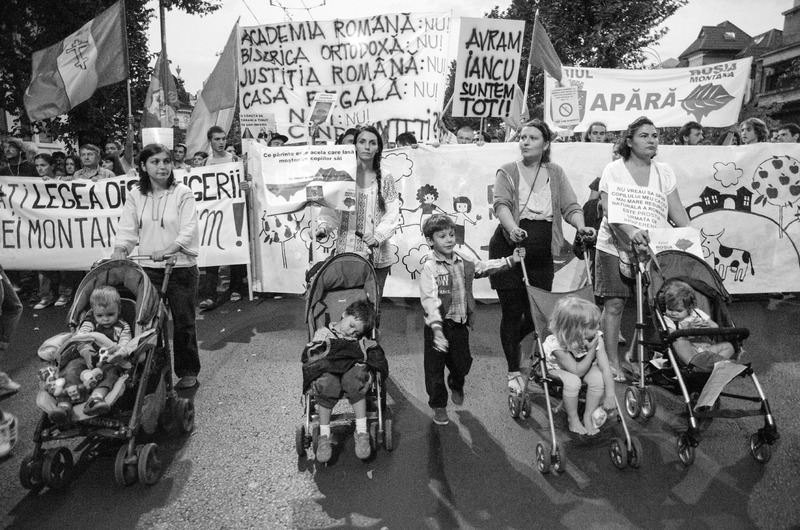 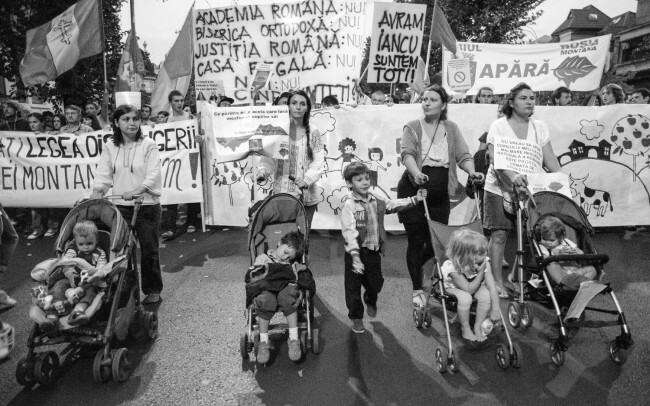 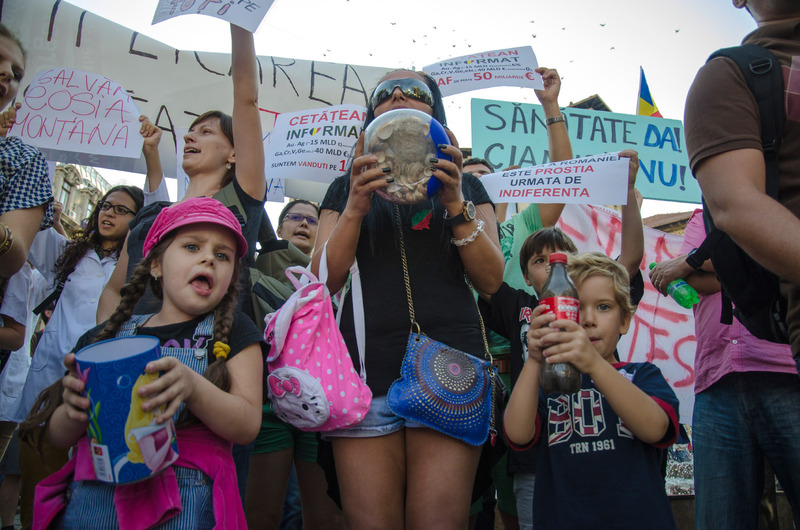 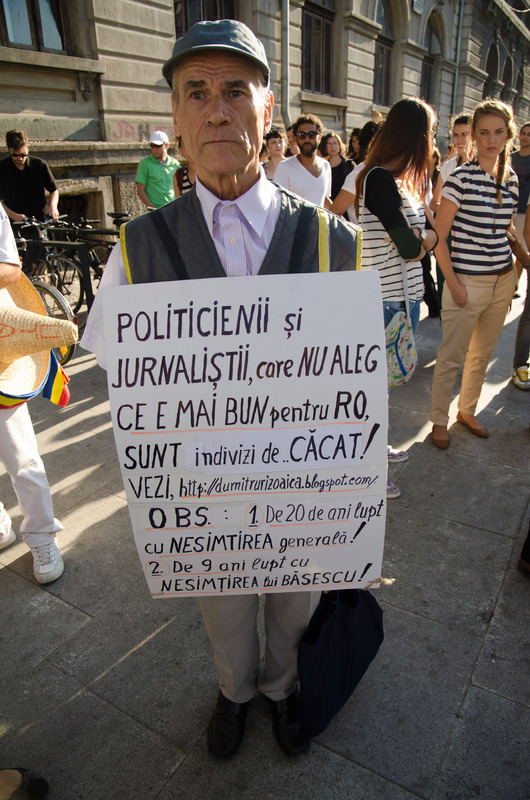 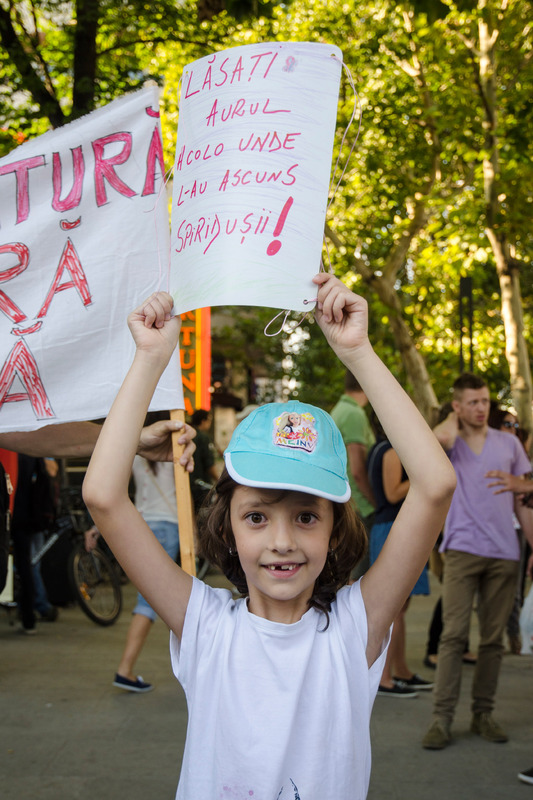 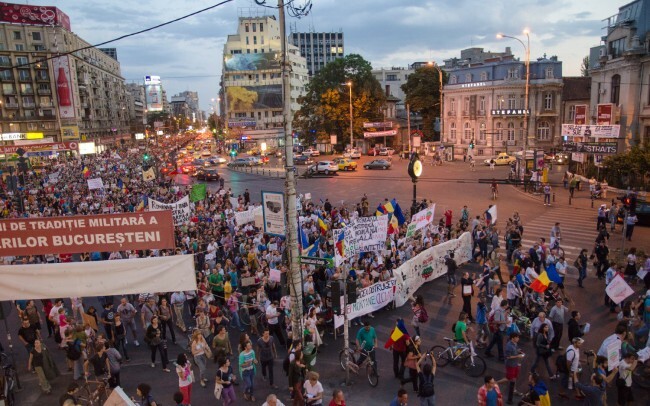 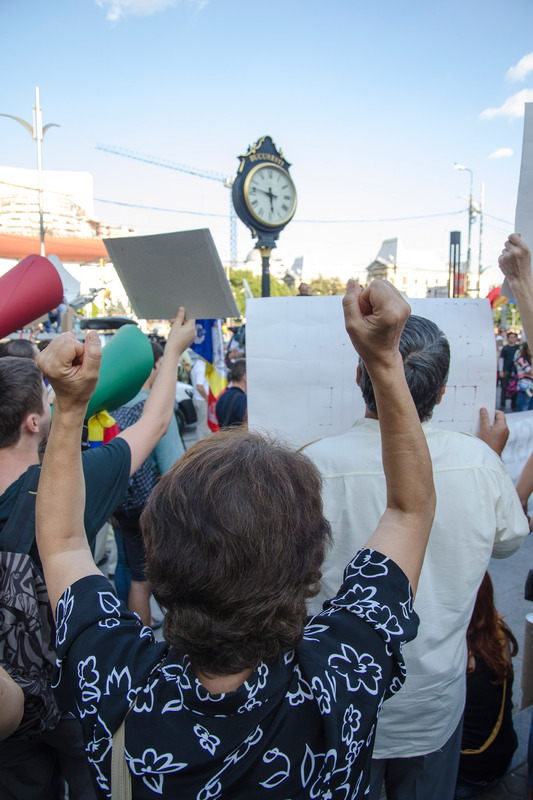 Today, at 5 pm people gathered in University Square in Bucharest to protest once again against the Rosia Montana project. 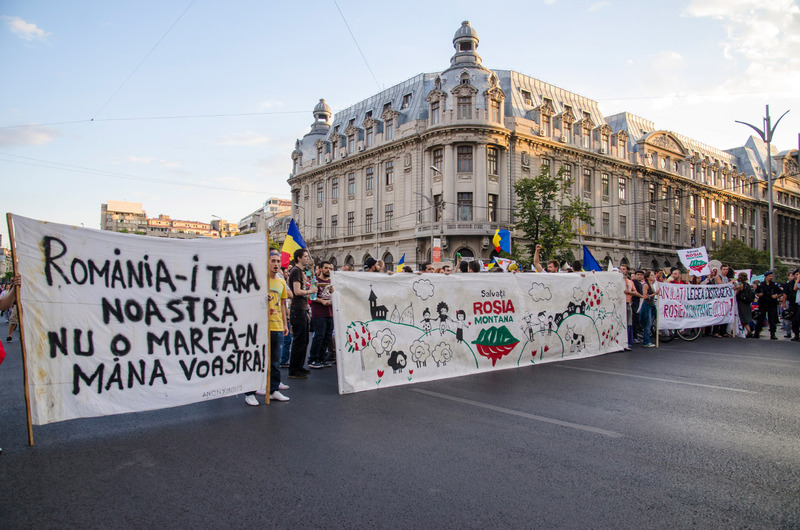 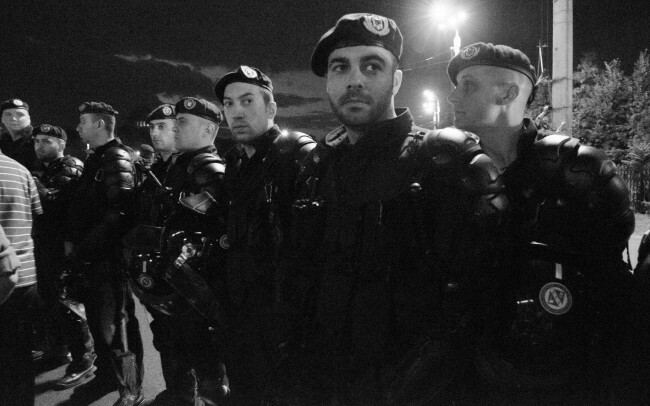 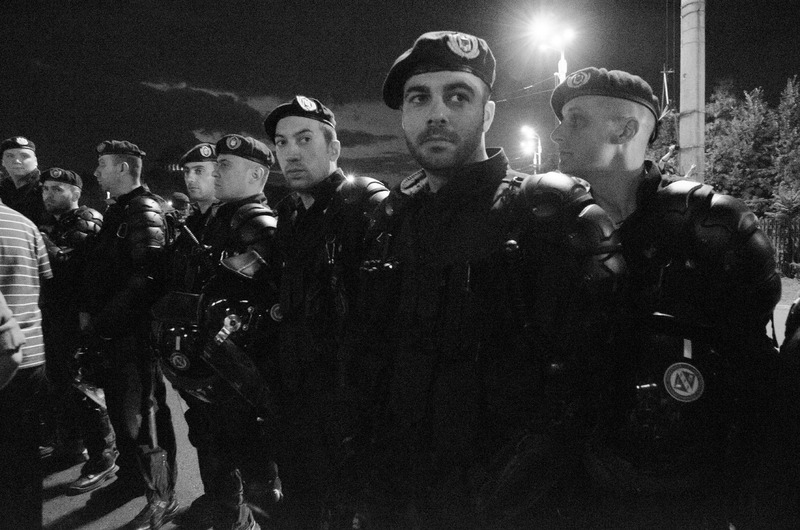 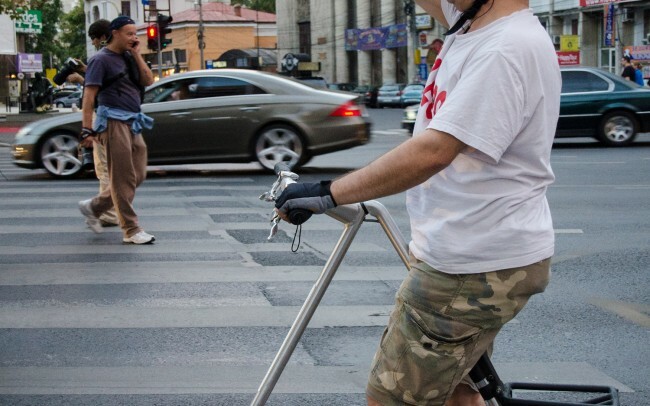 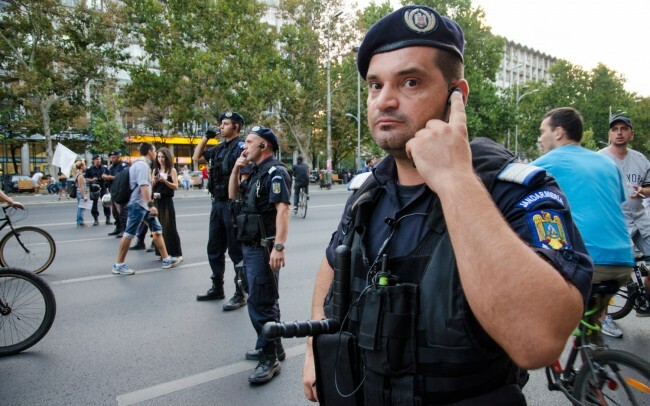 This action took place once again in many cities not only from Romania but from all over Europe. 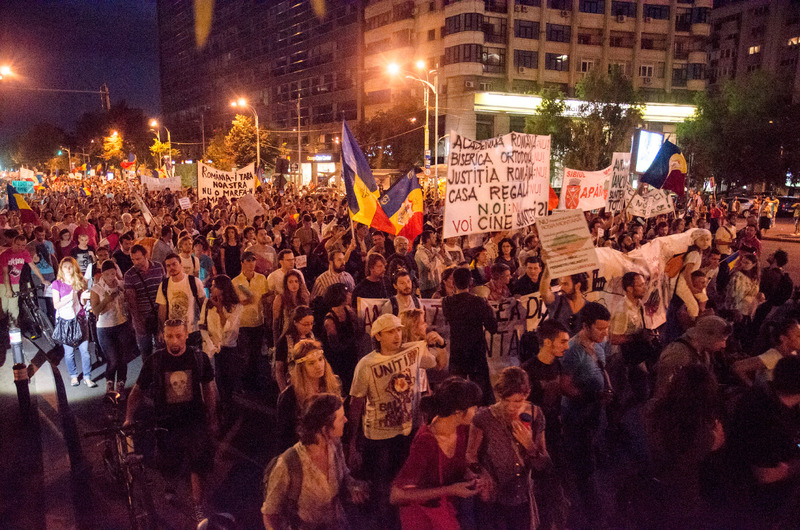 People gathered firstly in each sector in an established point and from there went towards the Square. 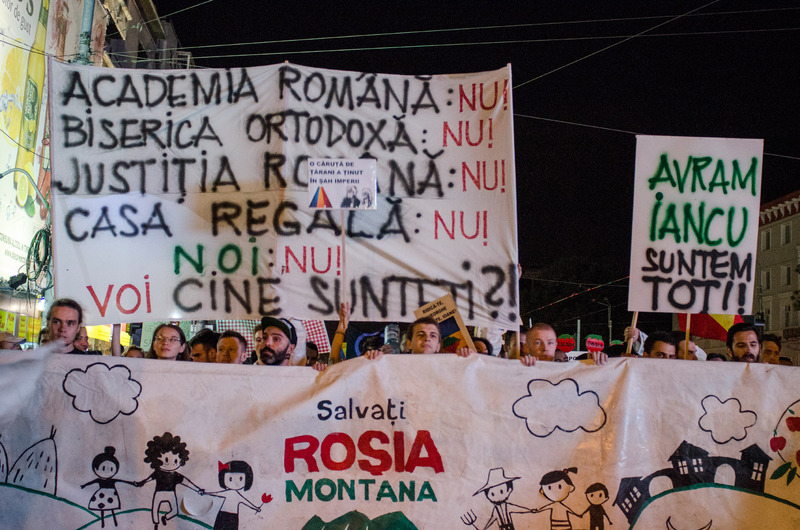 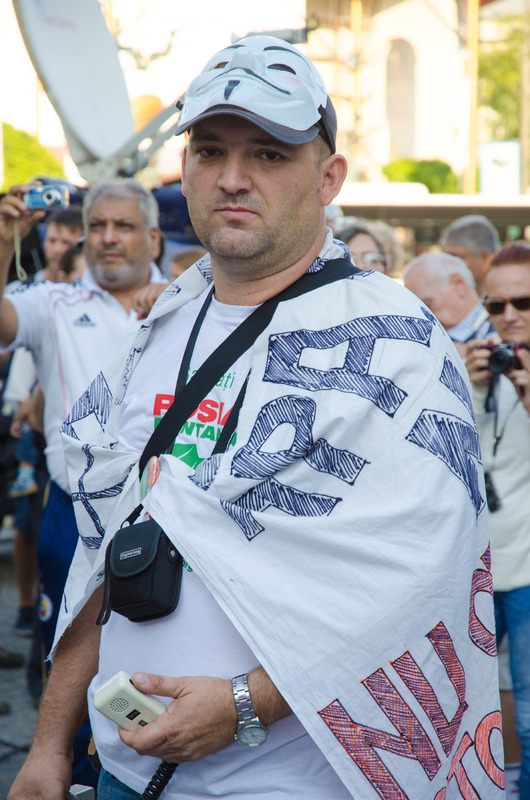 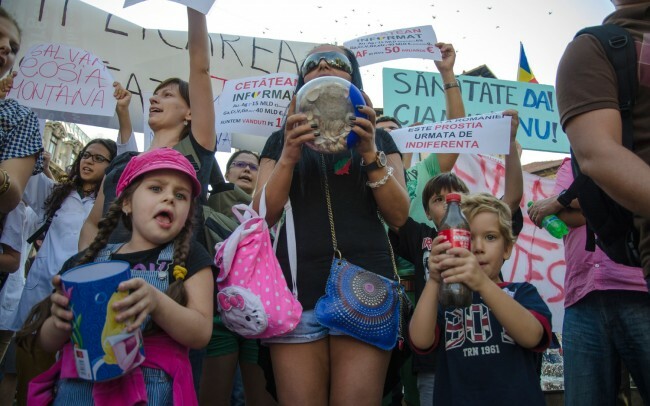 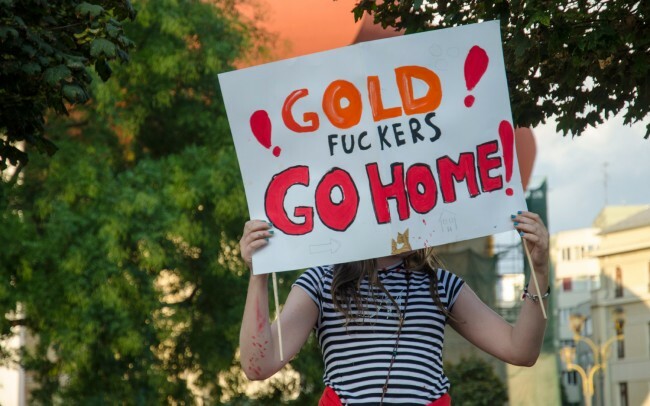 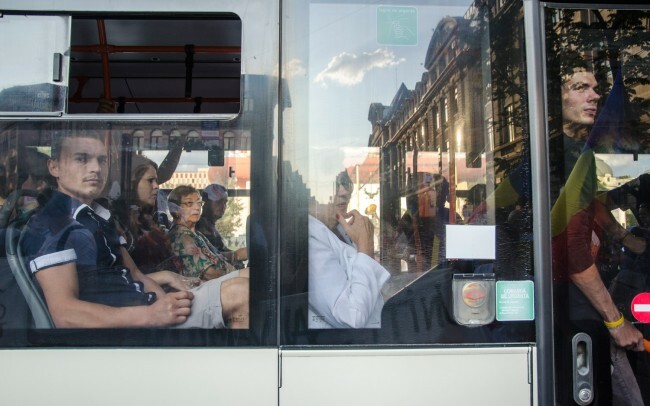 There they were chanting mostly “United, we save Rosia Montana”, “Not the corporation makes the legislation” and “Get out of the house if you care”. 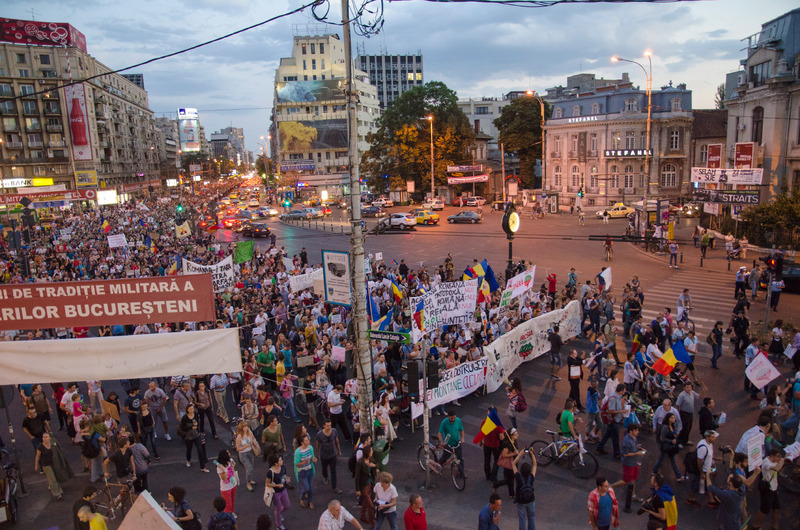 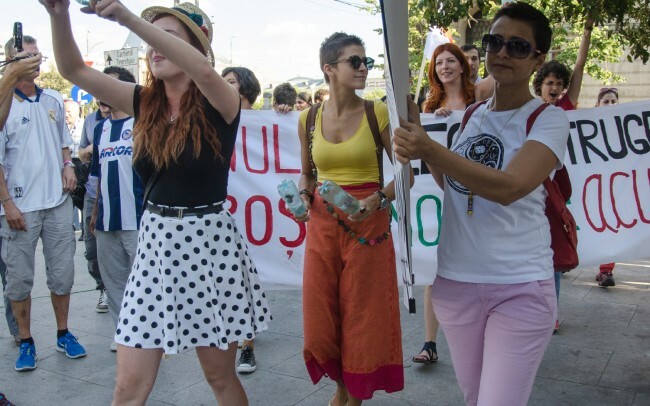 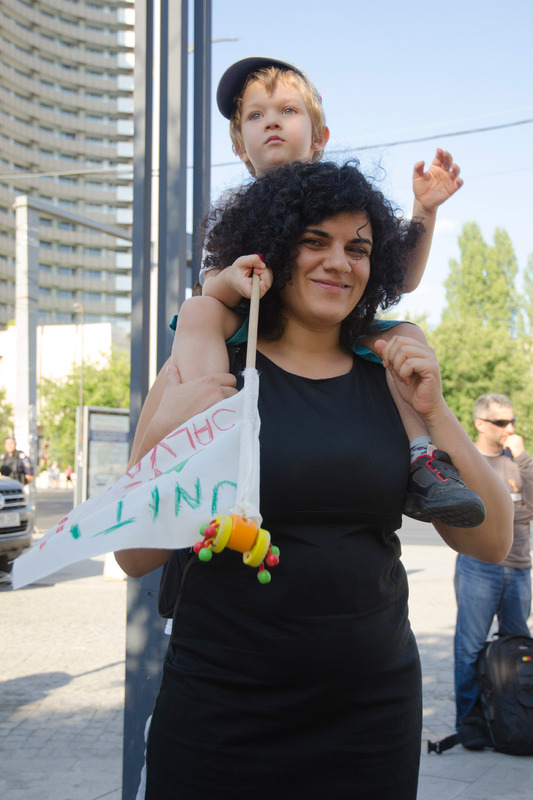 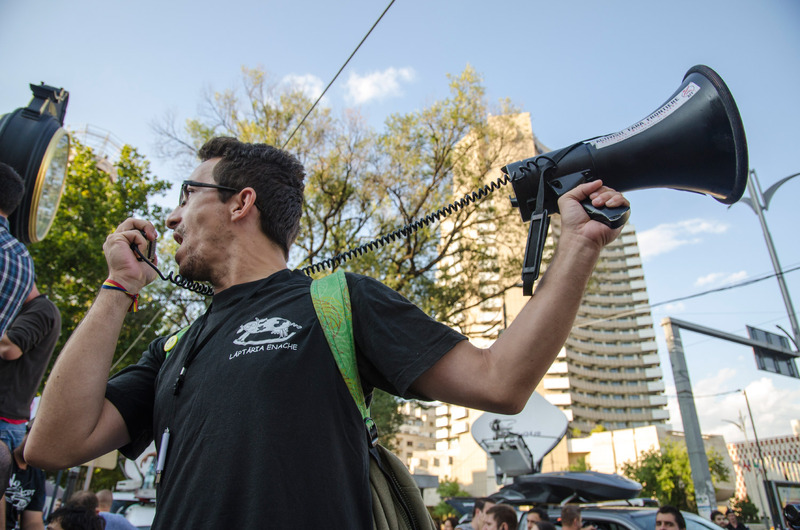 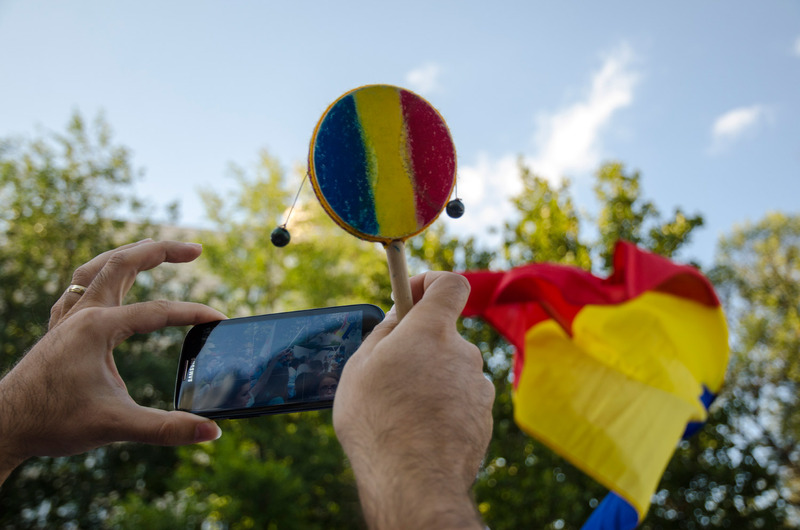 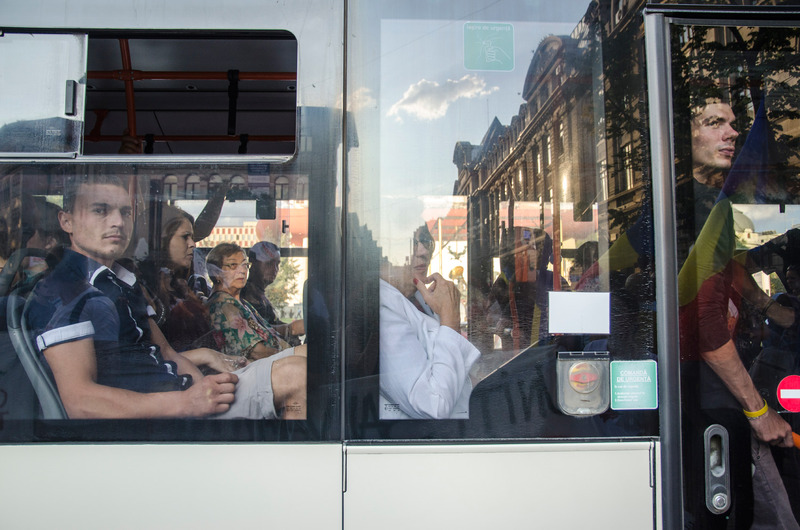 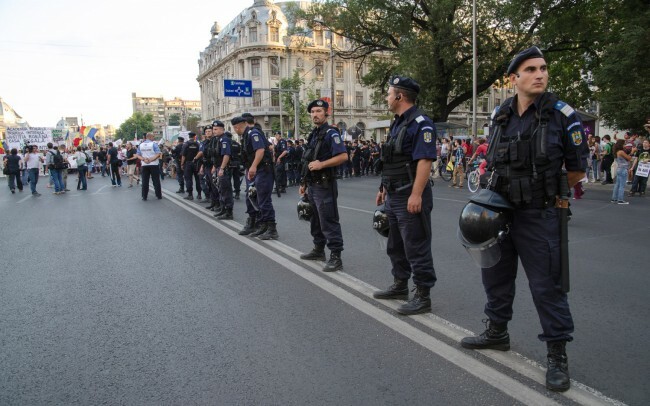 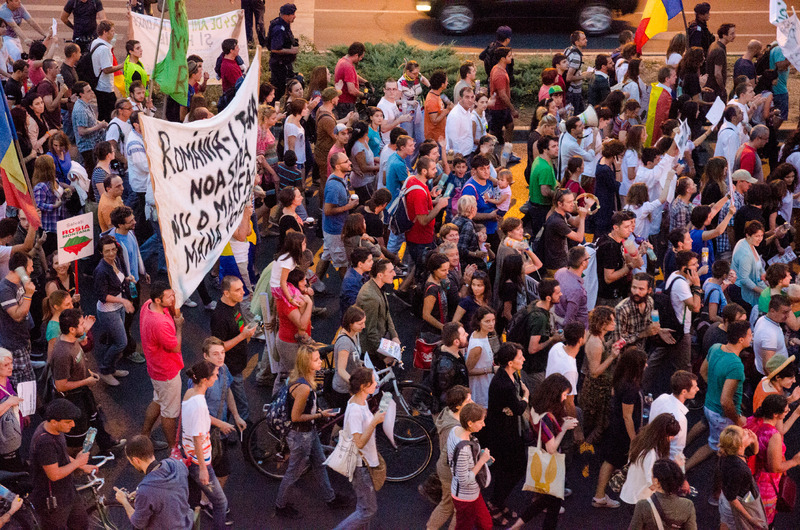 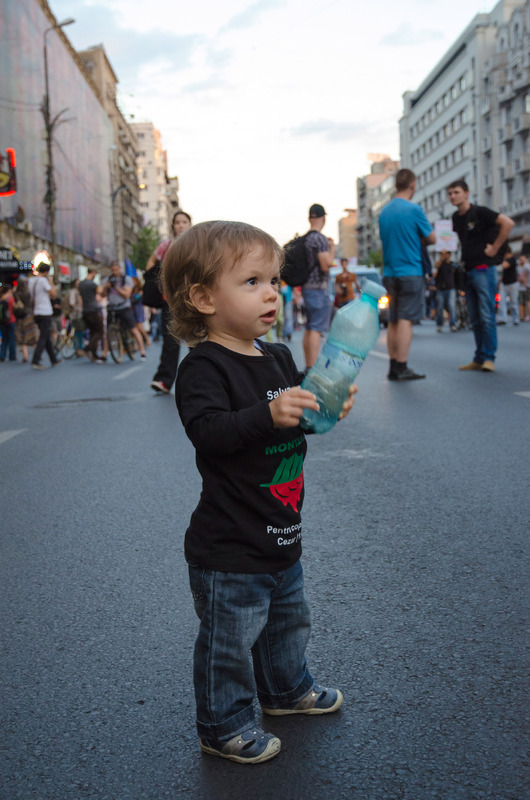 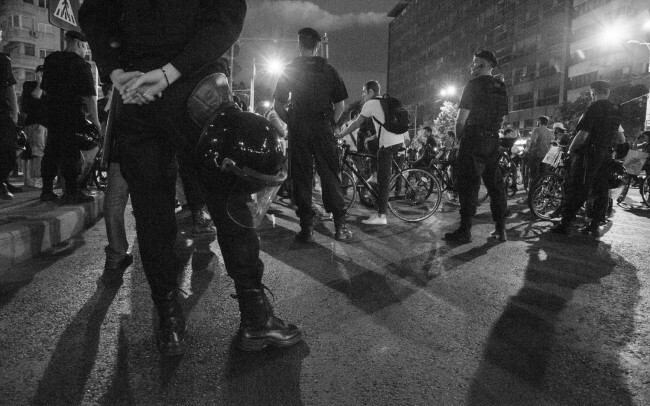 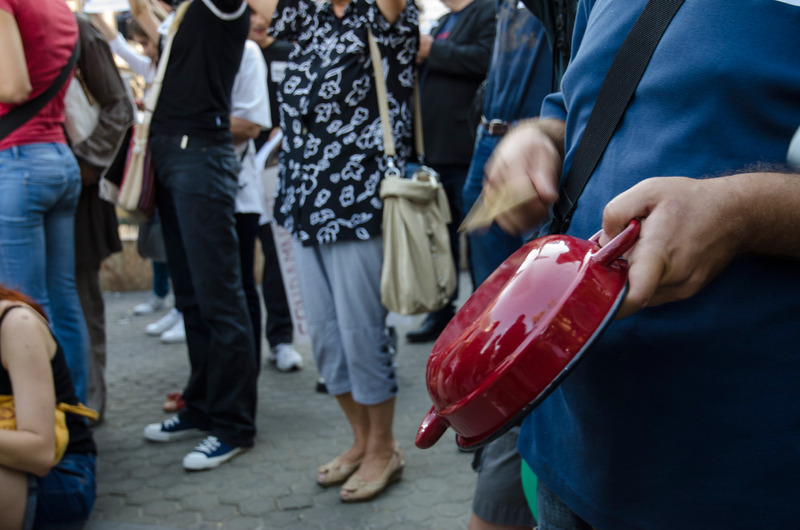 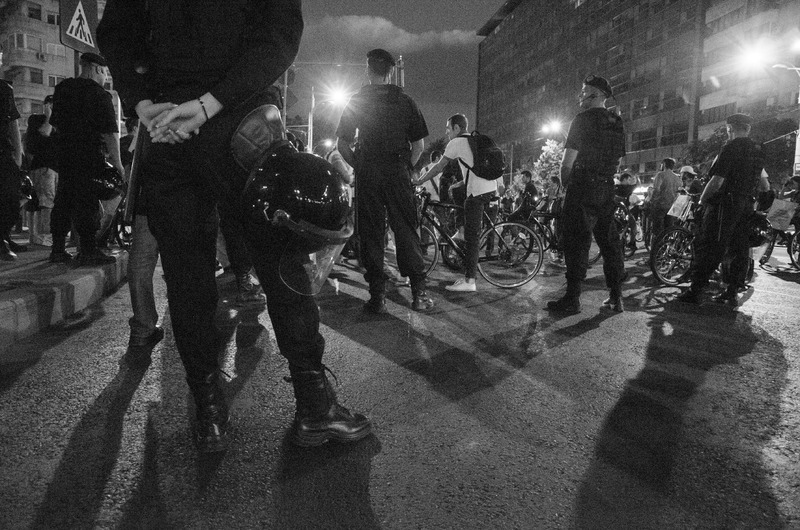 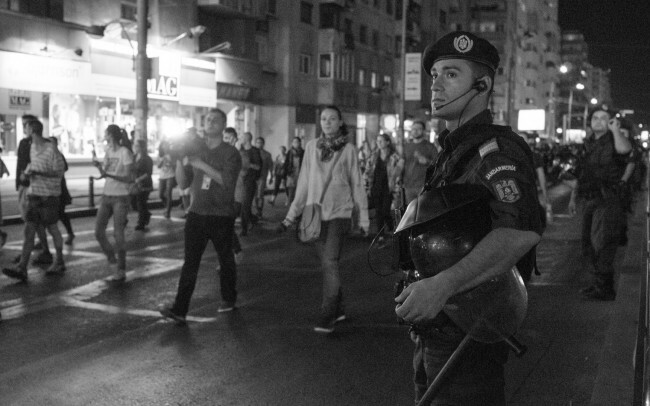 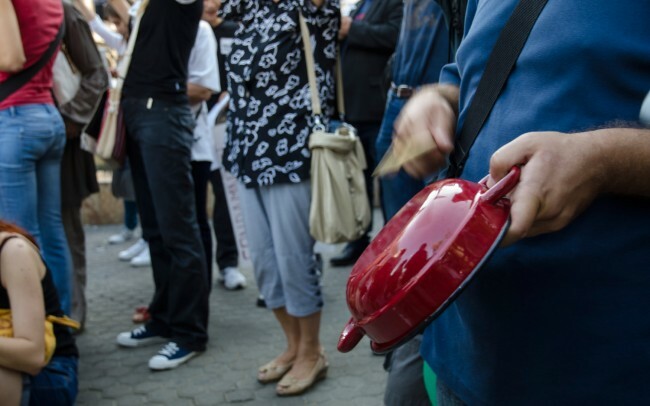 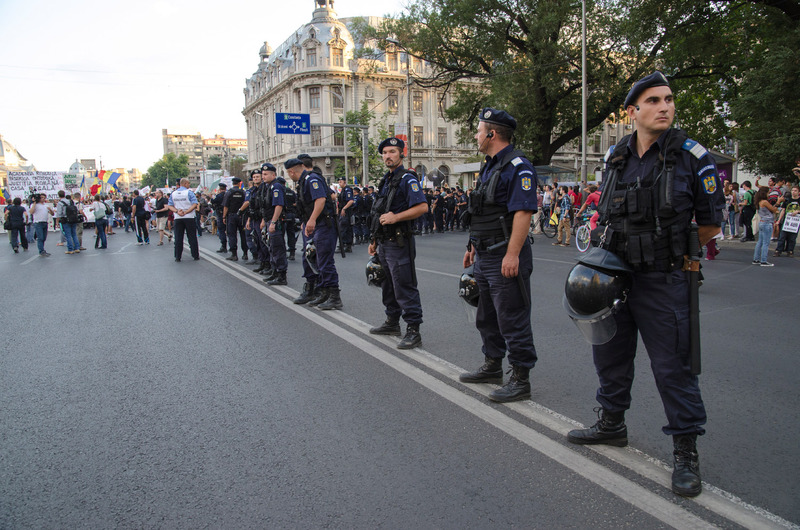 In 2 hours the march began towards the Government building and then on Stefan cel Mare street and then back to the University Square. 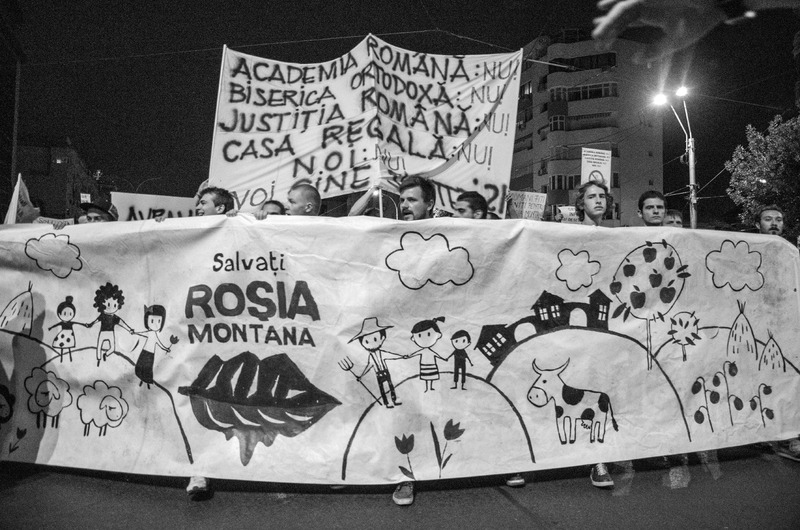 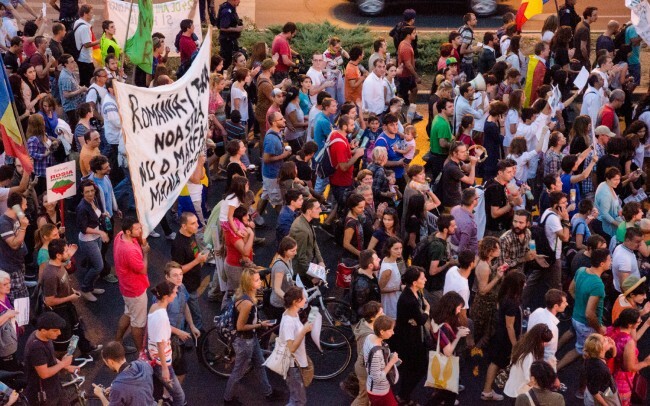 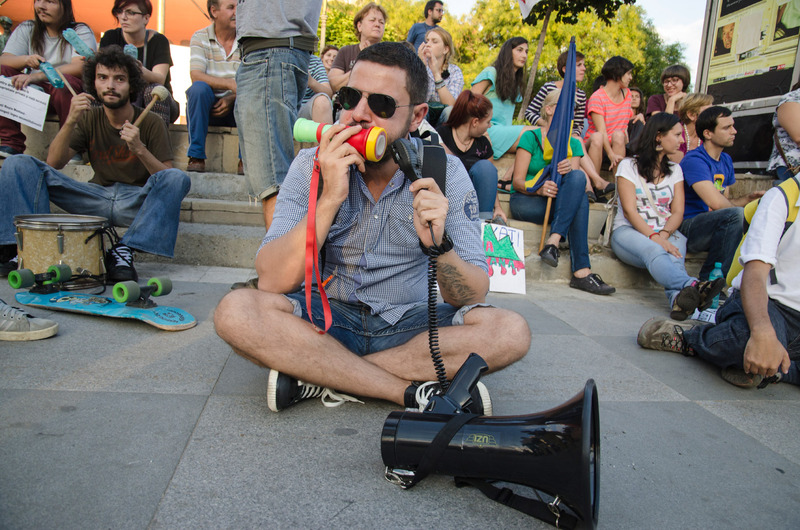 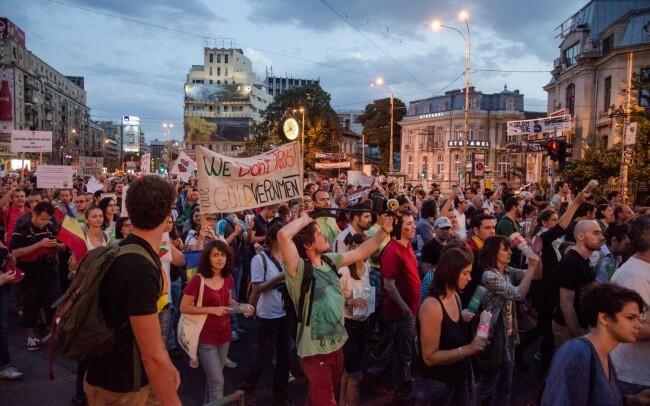 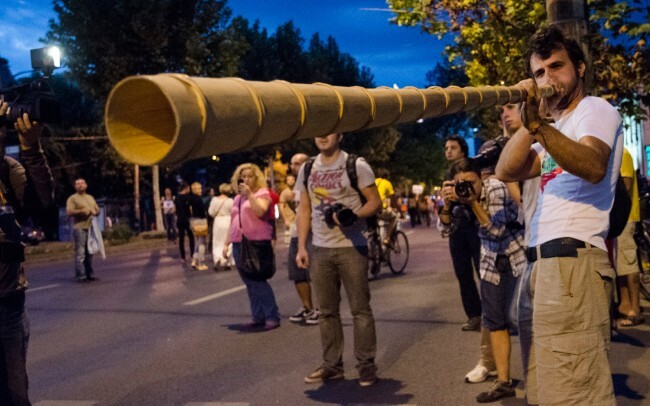 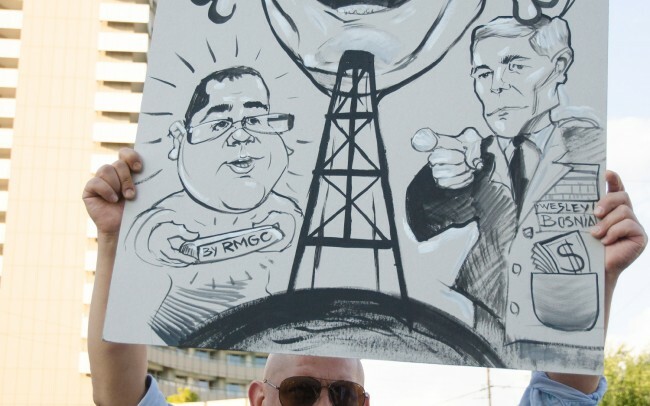 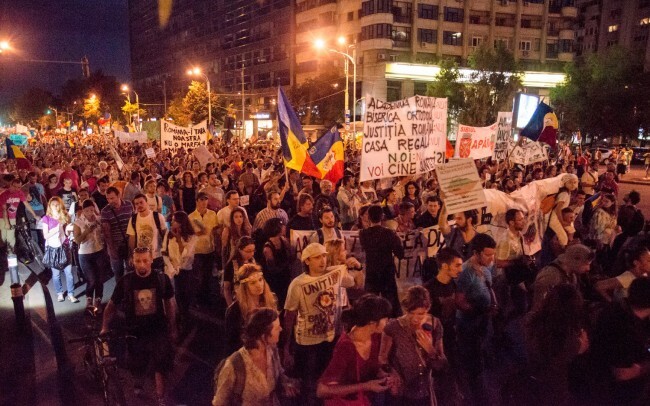 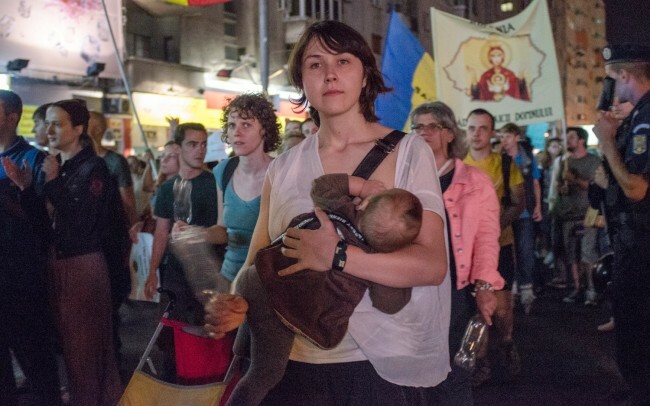 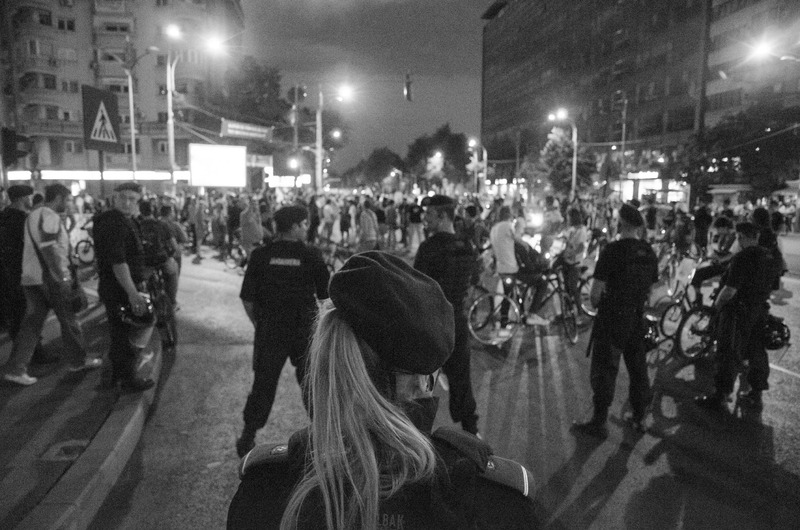 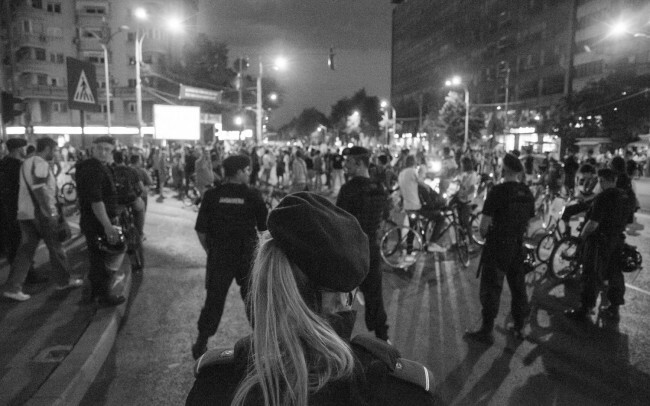 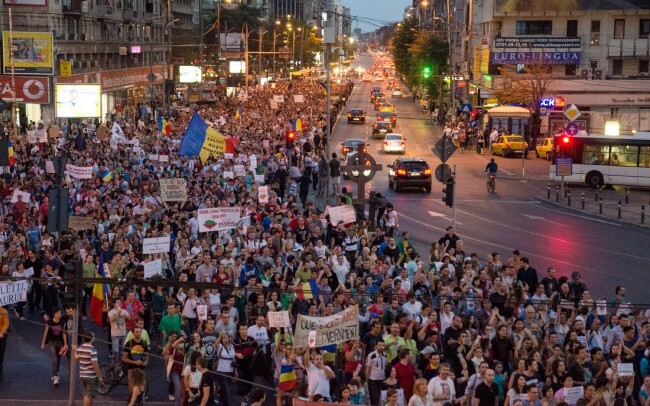 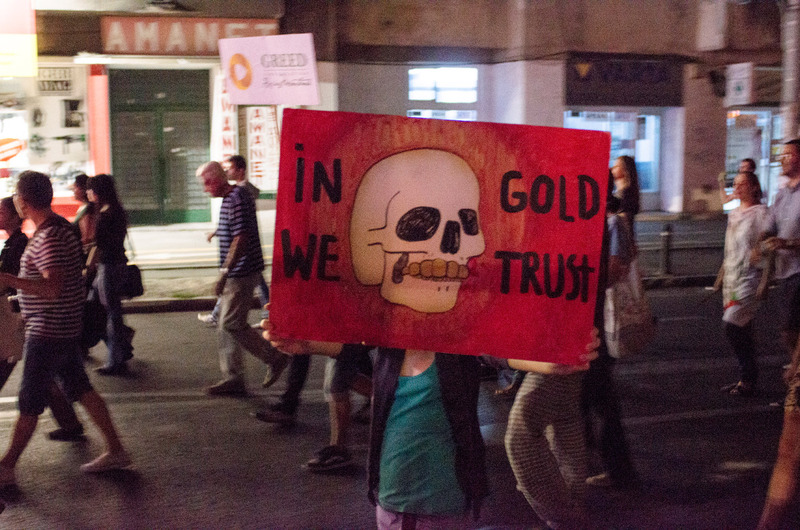 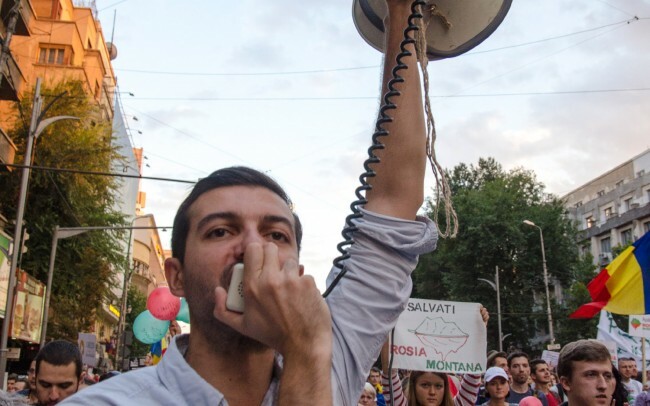 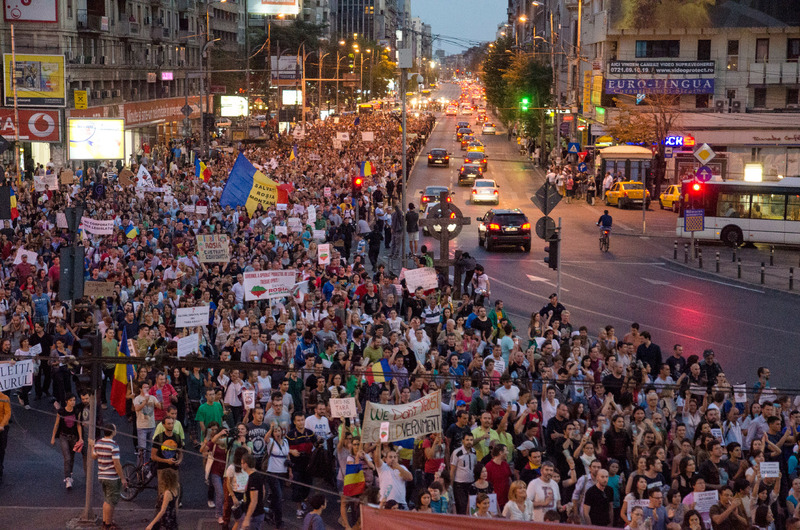 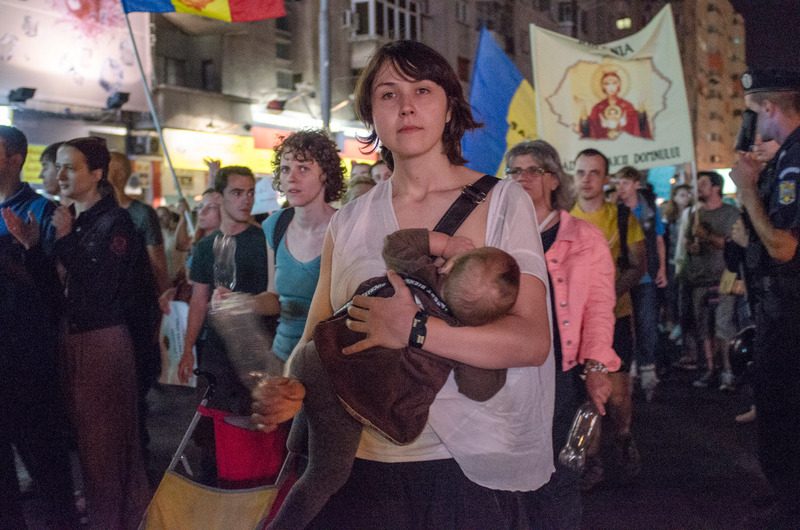 By 9 pm on Stefan cel Mare street over 15.000 people were protesting against the Rosia Montana project. 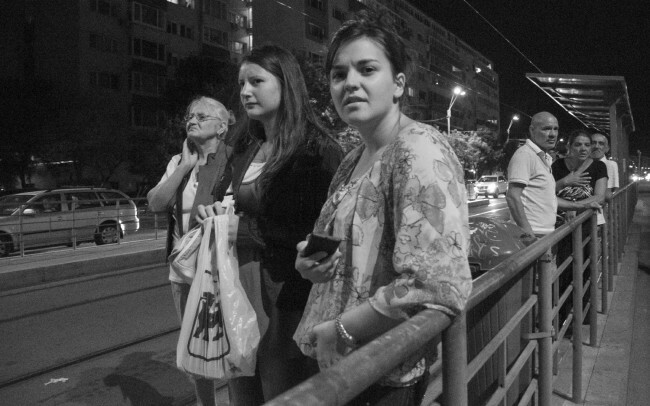 The sight was amazing. 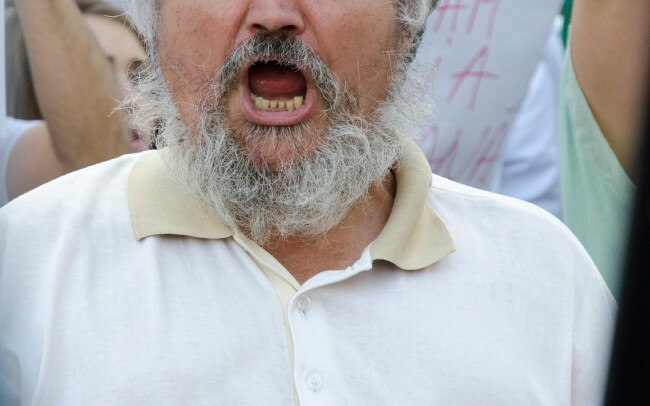 At one point, in front of the first line there were women with small children yelling as hard as they could. 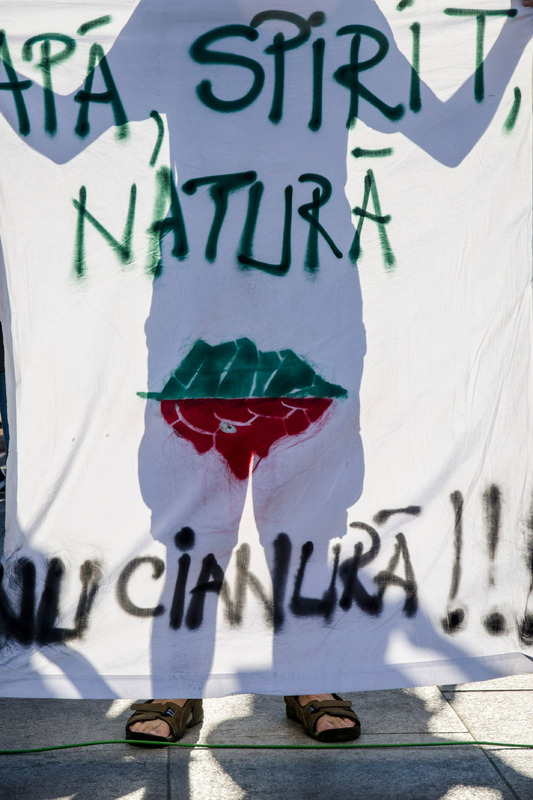 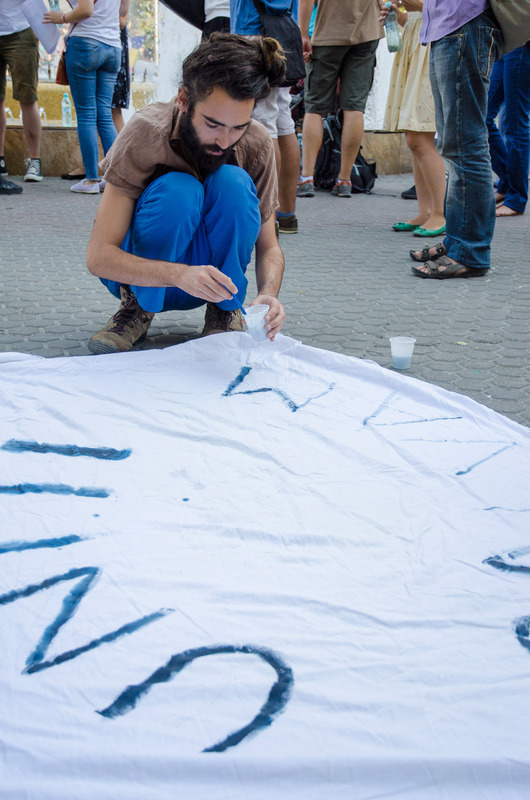 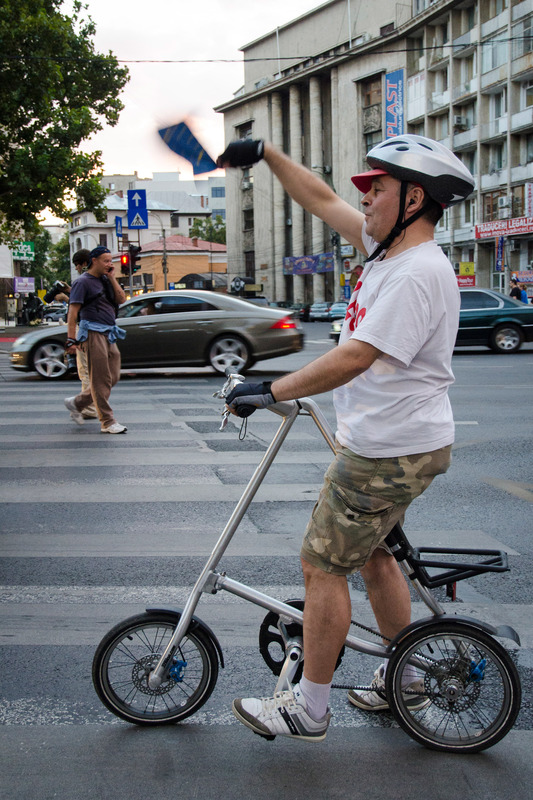 Some of the signs said: “We want nature, not cyanide”. 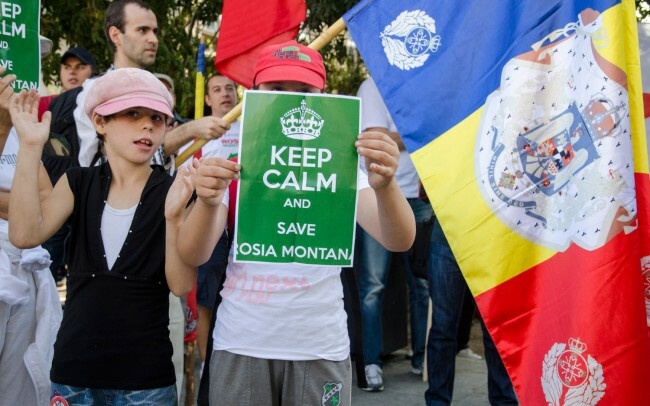 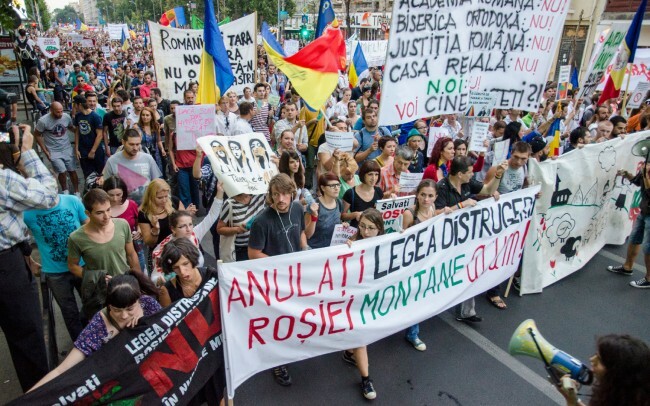 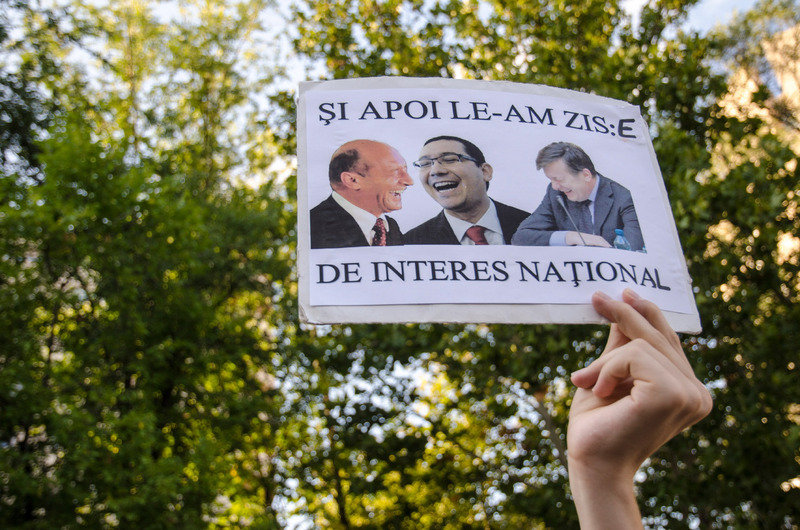 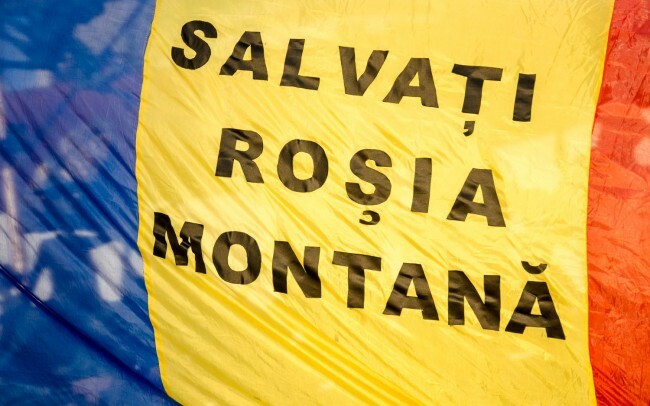 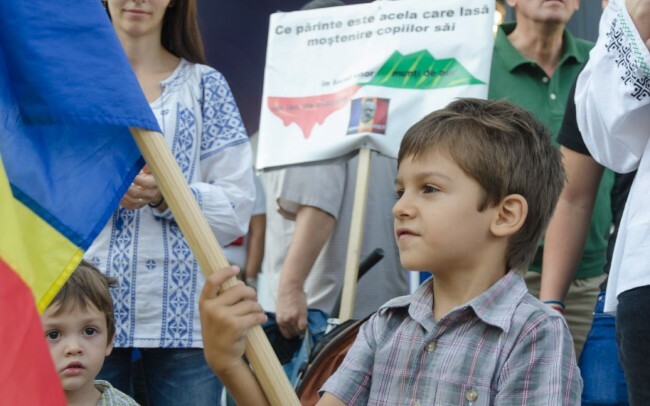 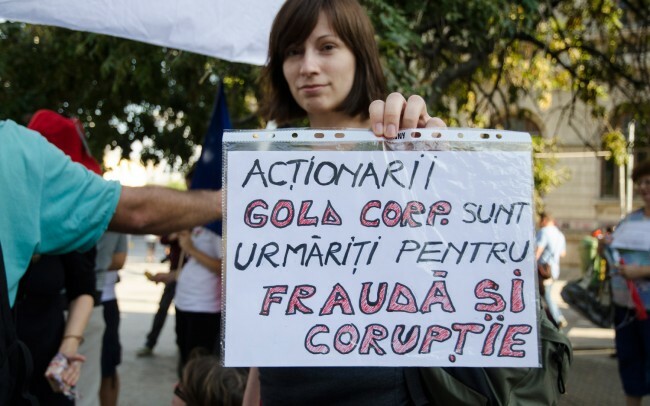 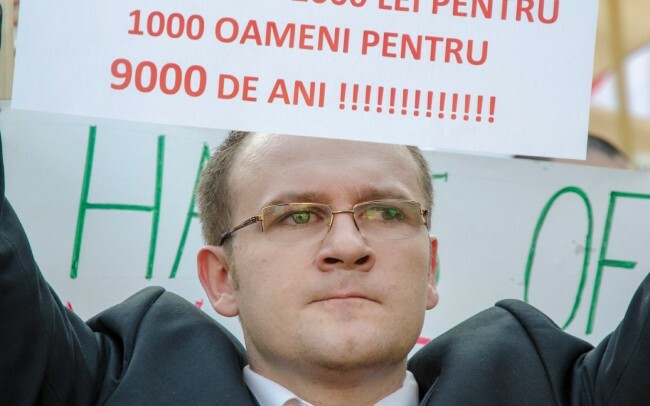 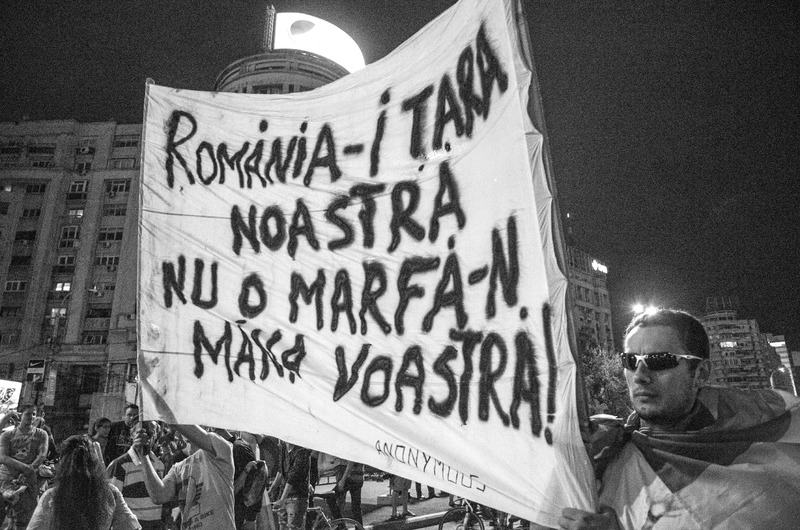 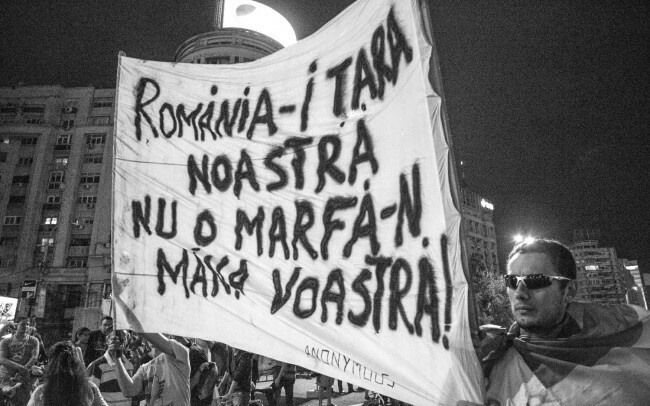 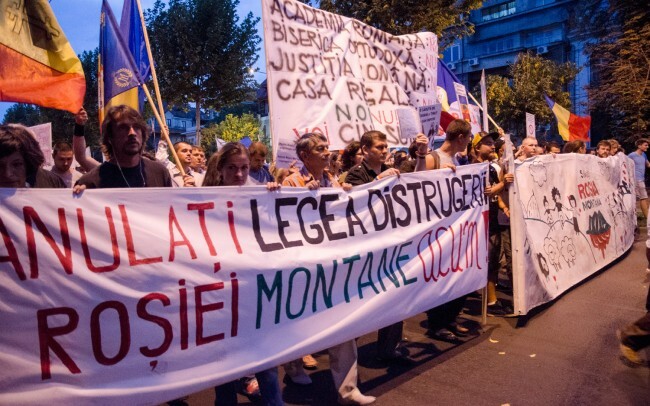 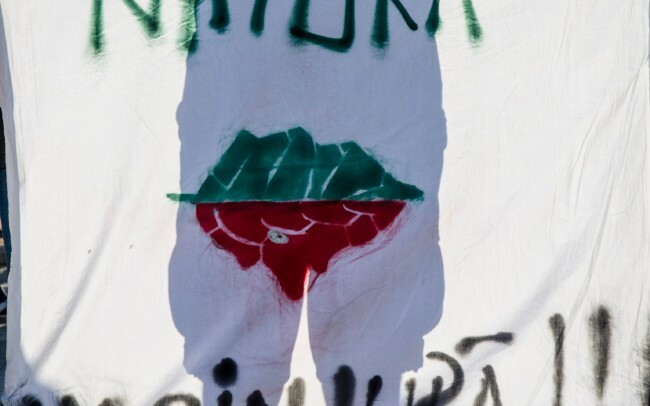 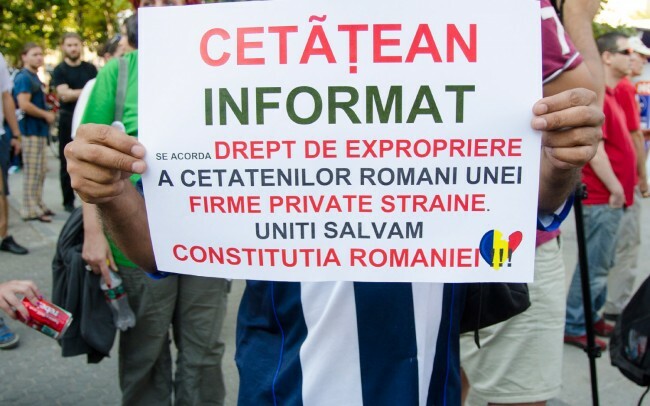 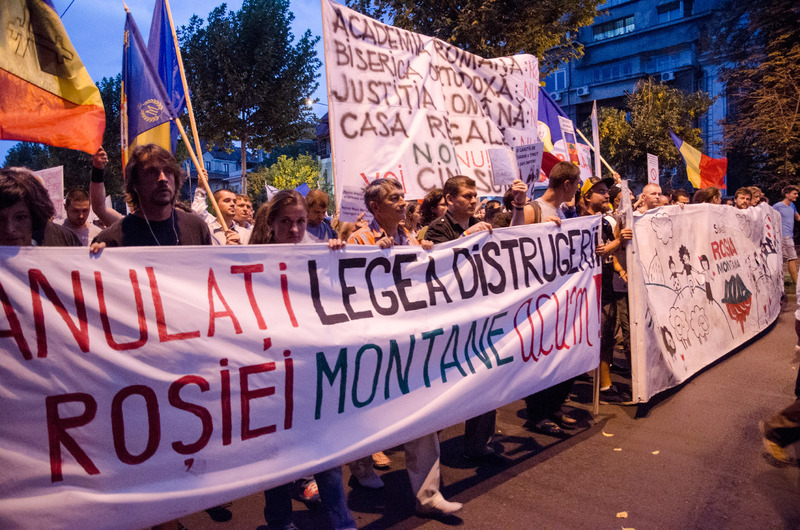 “Cancel the law to destroy Rosia Montana now!”, “Greed destroys Romania”, “Informed citizen. 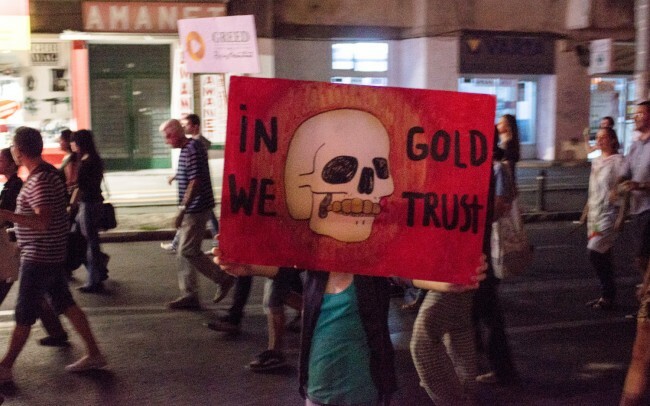 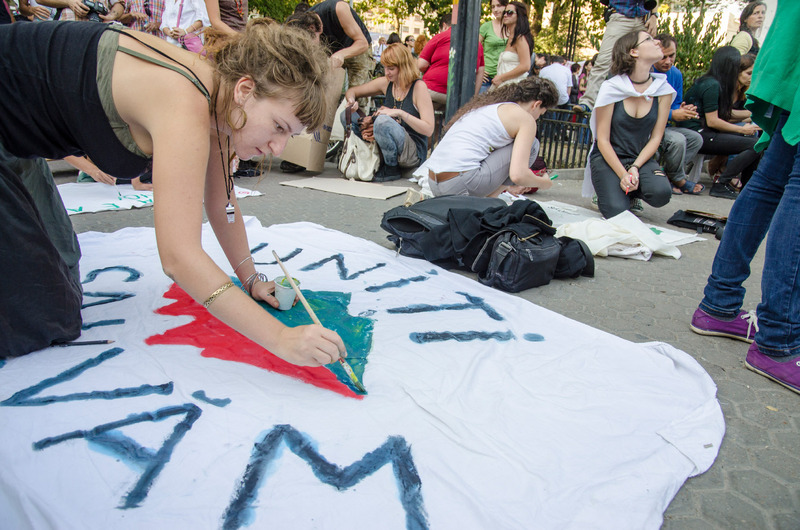 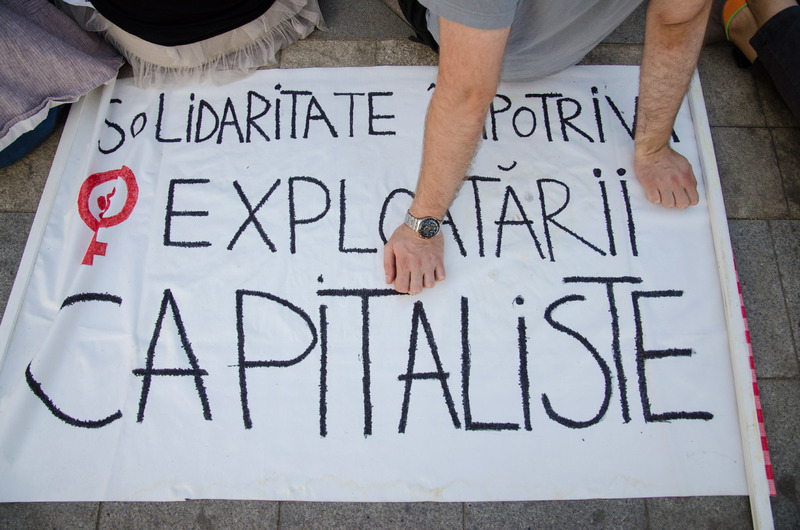 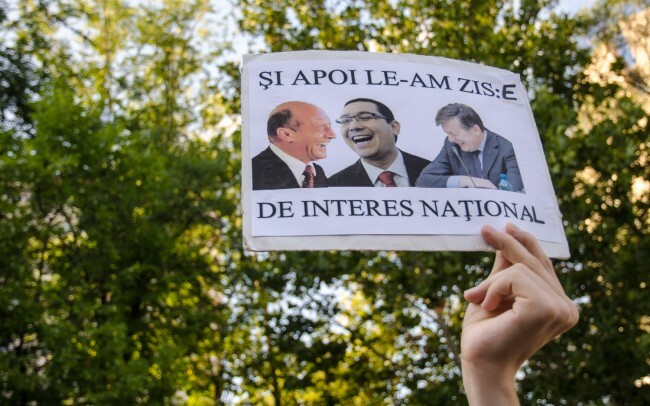 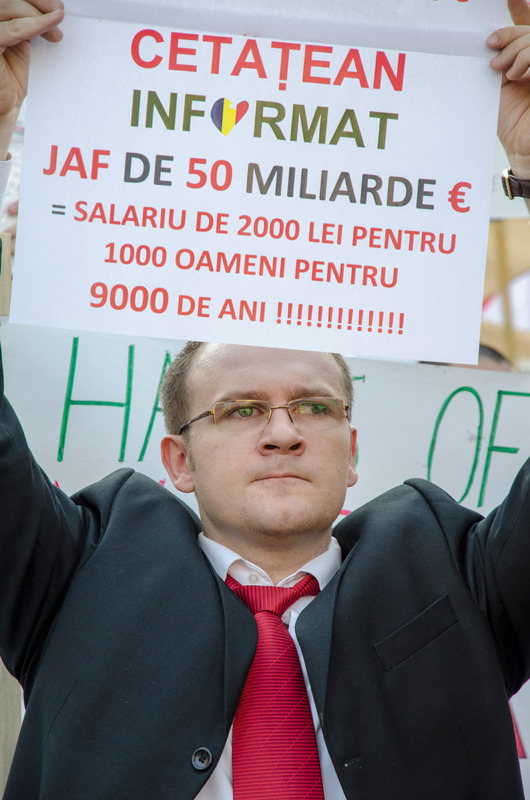 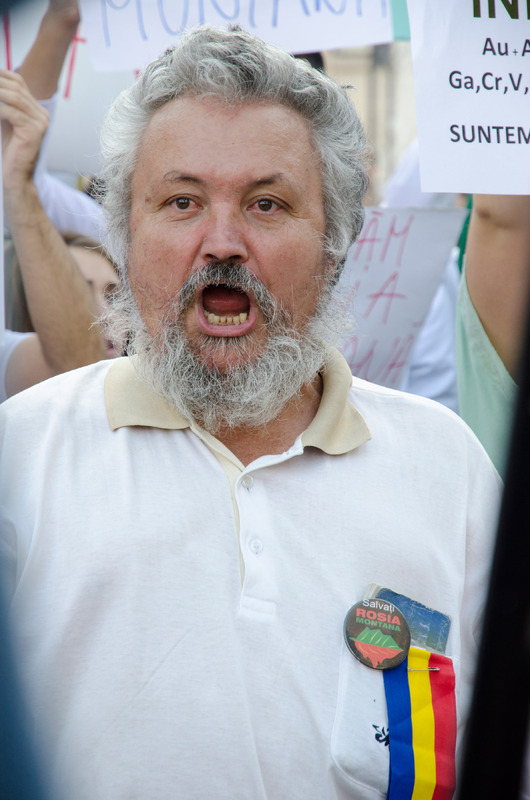 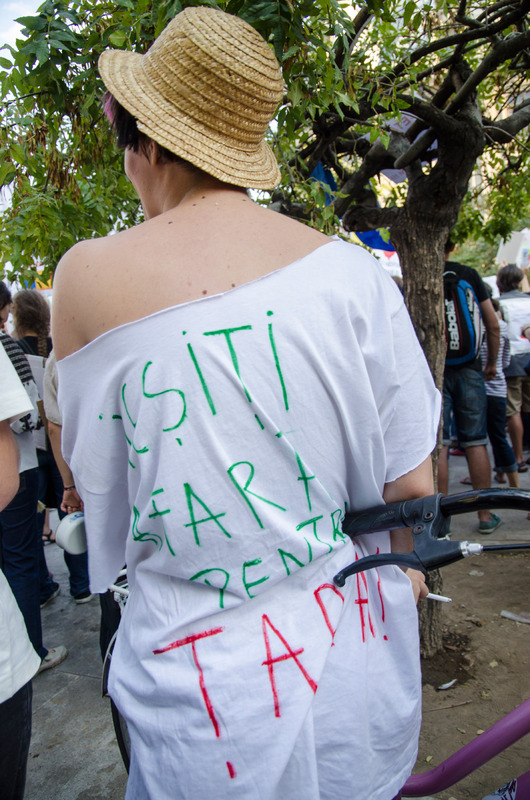 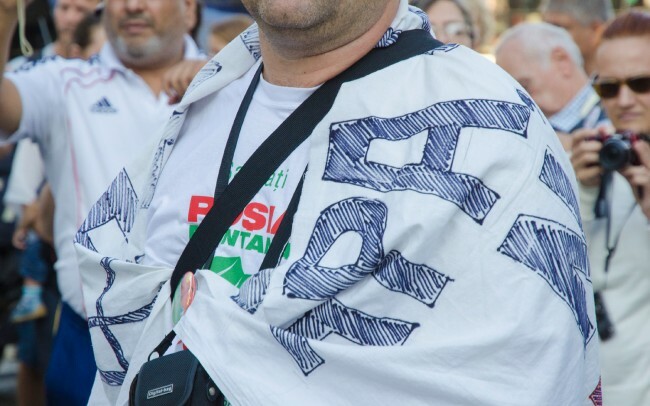 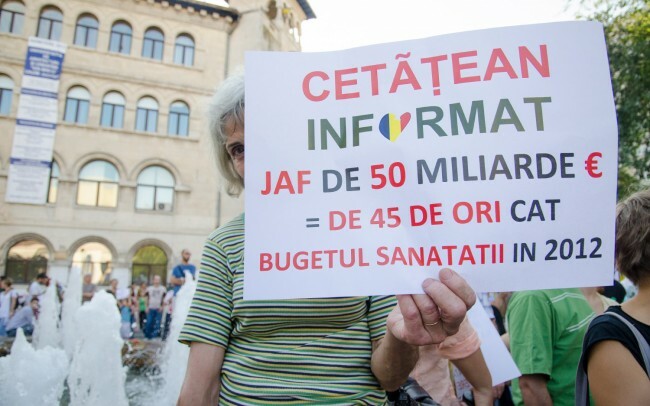 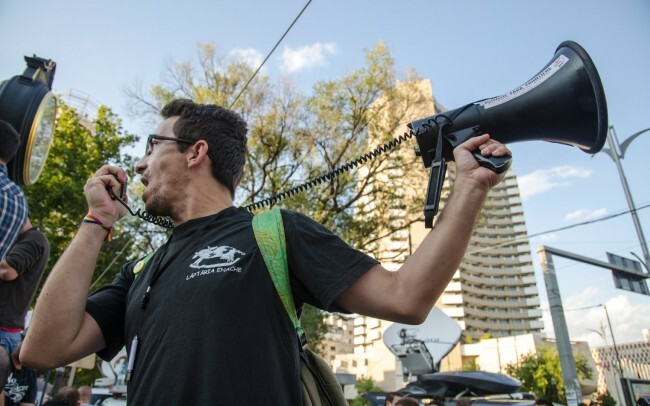 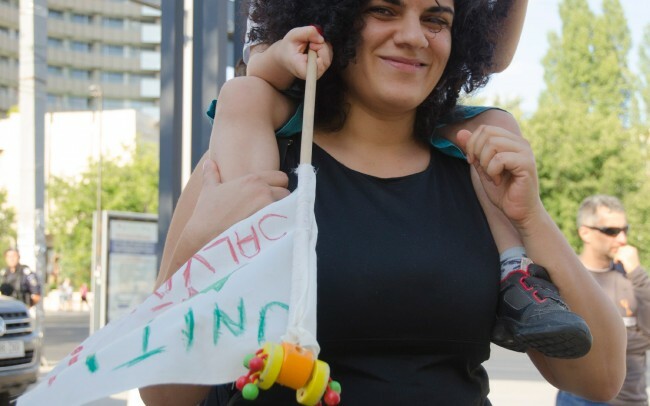 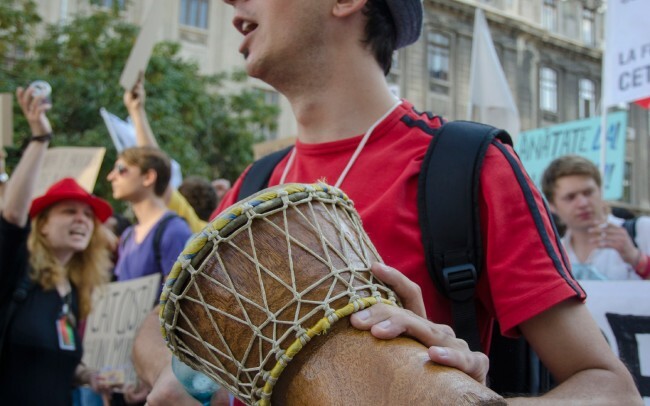 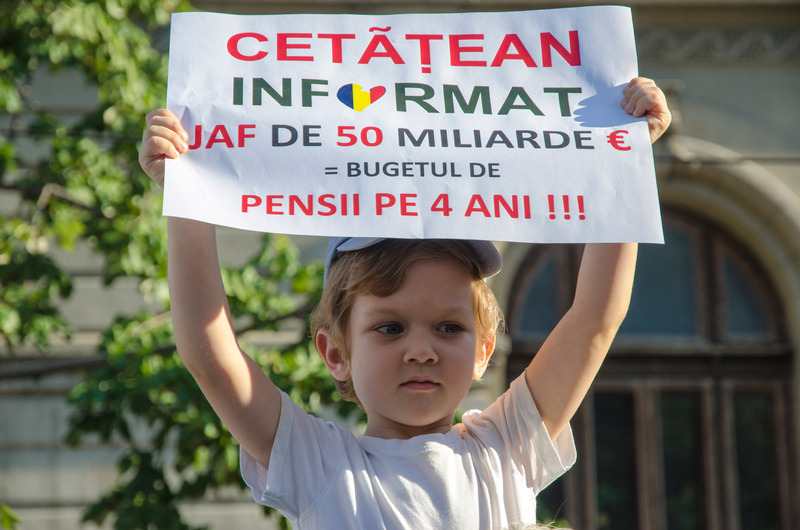 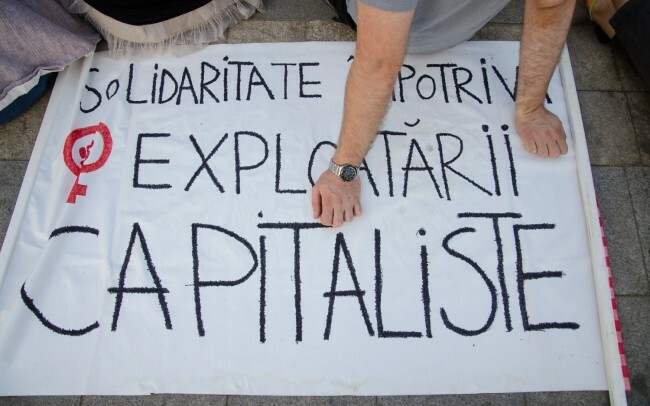 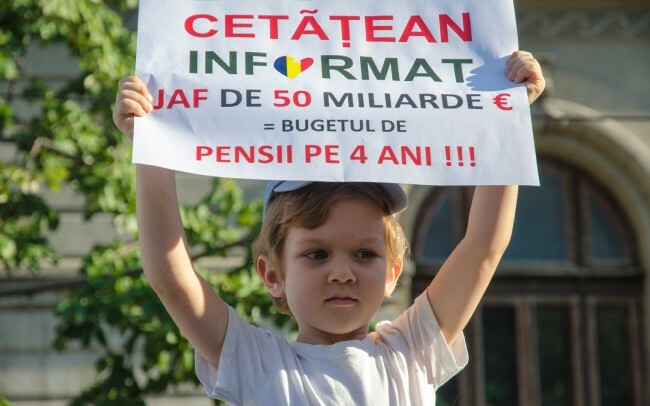 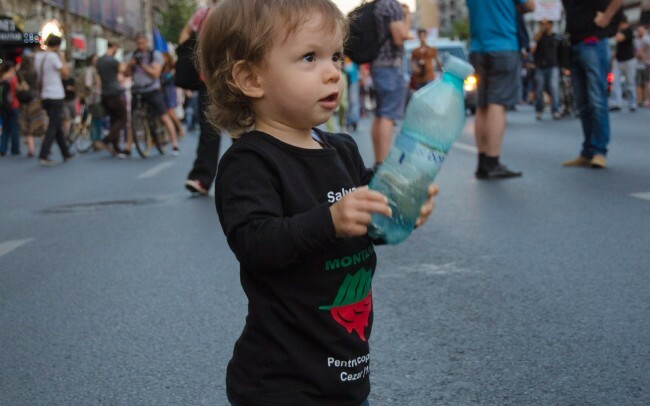 A robbery of 50 billion Euros equals 45 times the Health budget in 2012”, “Solidarity against capitalist exploitation”, “Romania is our country not goods in your hands” and “Rosia Montana- the revolution of our generation”. – Cyanide use in mining will be strictly forbidden.